Full speed ahead. After the top GPUs from the last Nvidia generation were still based on the Kepler architecture, both the GeForce GTX 980M and GTX 970 finally use the Maxwell architecture. 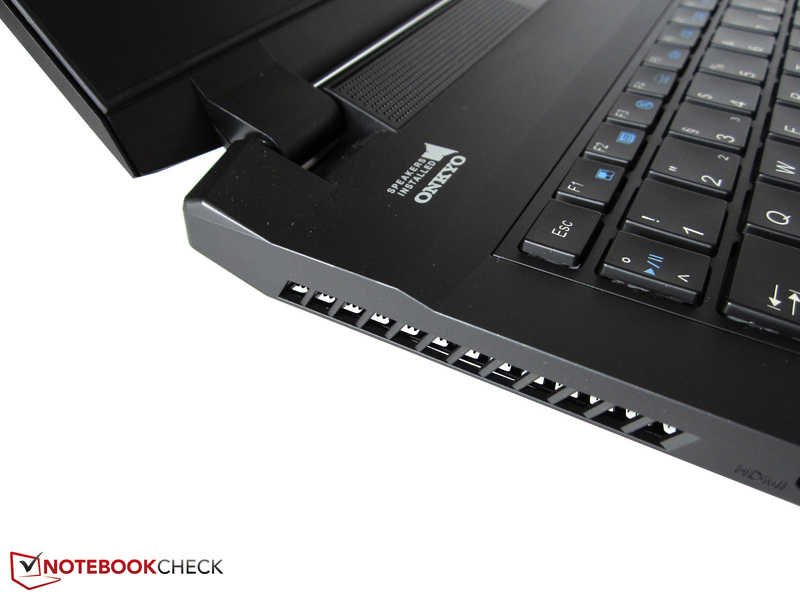 We check the performance with the Clevo P651SE Barebone. 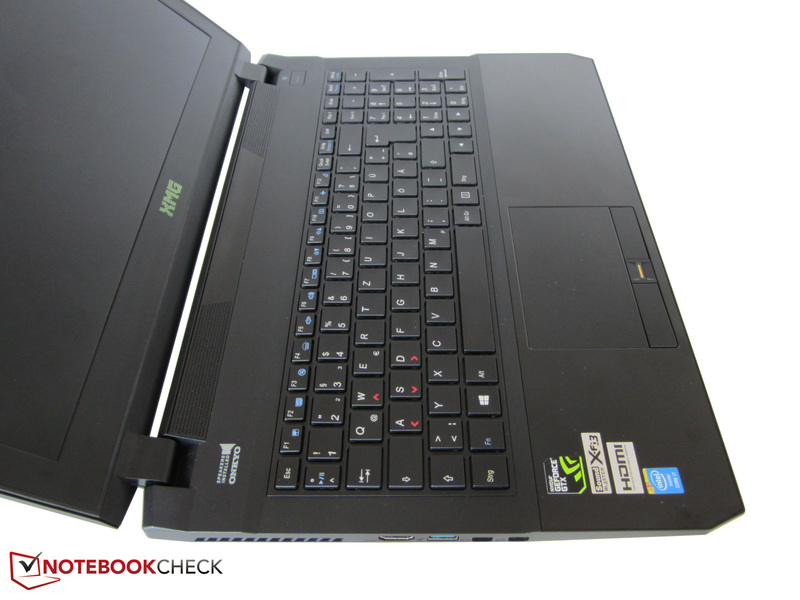 Schenker sent us the brand-new XMG P505 for the launch of the GeForce 900 generation. 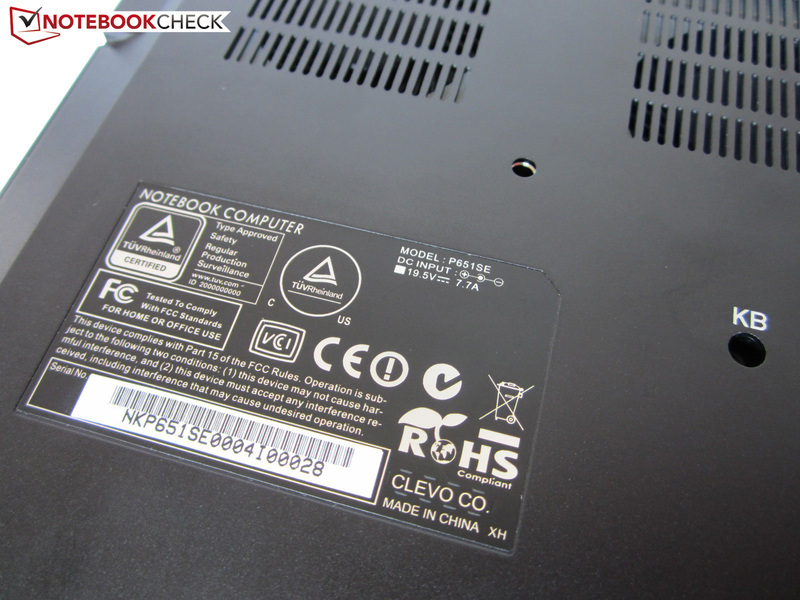 According to the barebones expert Clevo, the chassis can either be equipped with a Core i7-4710HQ (HD Graphics 4600) or a Core i7-4770HQ and Core i7-4870HQ (each Iris Pro 5200), respectively. There are also three options for the display: Instead of a conventional Full HD screen with 1920x1080 pixels, you can choose a WQHD+ (2880x1620) or a QFHD panel (3840x2160). 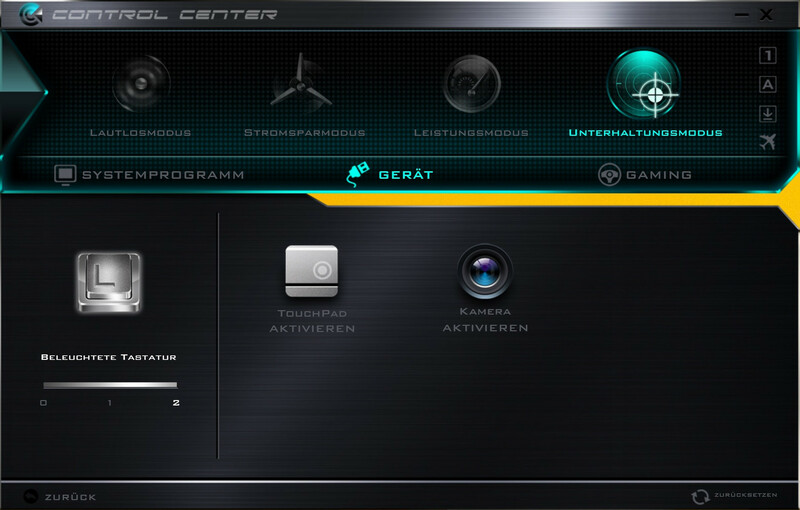 In addition, you get four memory slots that support up to 32 GB DDR3 RAM. The situation is similar in terms of storage. The 2.5-inch tray can either carry one hard drive with a height of 9.5 millimeters or two hard drives with a height of 7 millimeters. The highlights, however, are the M.2 slots. One of them has a PCIe interface, the other ones SATA interfaces. 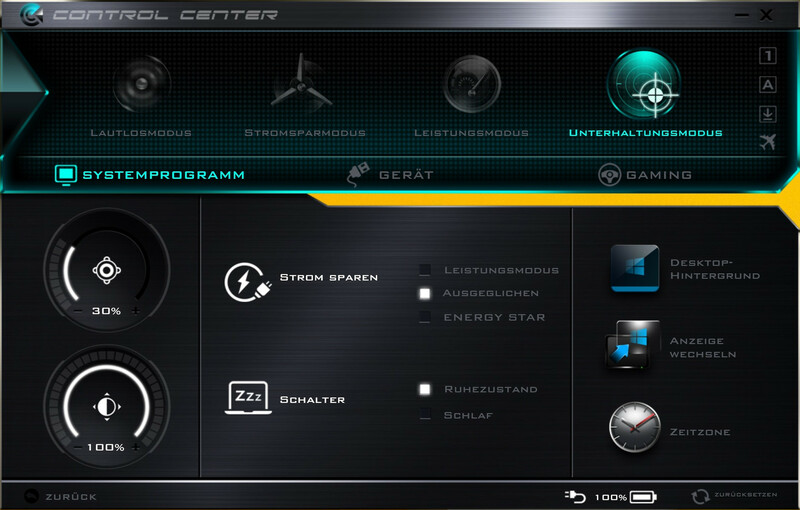 The homepage also lists different options for other components like the keyboard, the operating system and the wireless module. Speaking of WLAN: Due to some BIOS issues, we were not able to use the wireless adaptor of our pre-production unit. The build quality as well as the fan control can differ from the final product as well. We still include a rating since we were able to review the notebook without problems. 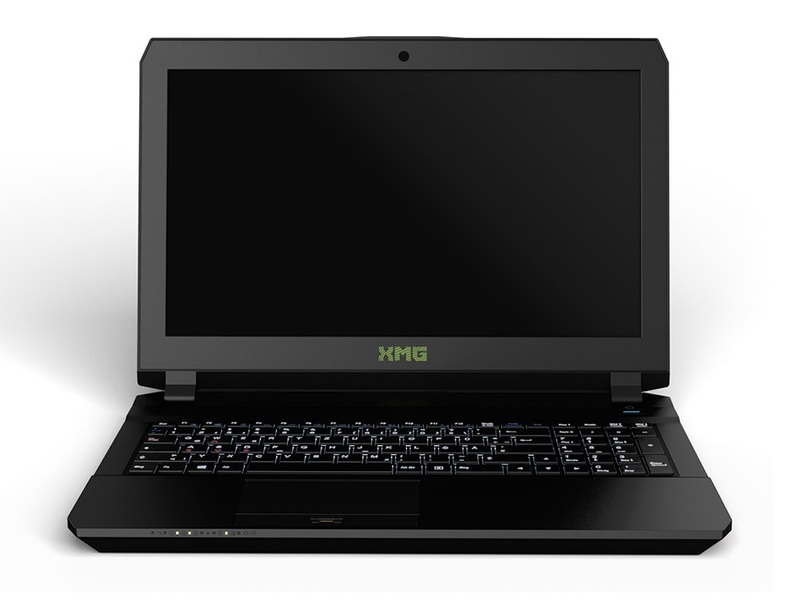 Contrary to the predecessor, the XMG P505 is not based on the P157SM-(A) barebone, but the brand-new P651SE chassis. It looks significantly thinner than the old model with a height of 2.5 centimeters (vs. ~4.5 centimeters) and the weight was reduced as well. Instead of 3.3 kilograms you have to carry 2.6 kilograms, which is a reduction by almost 20%. Because of its compact construction you can call the P651SE mobile. It seems that the days of bulky desktop replacements come to an end when you look at the gaming notebooks from other rivals (Acer Aspire V 17 Nitro, Aorus X7 v2, Lenovo Y50-70, MSI GS7, etc.). The build quality of our review unit is pretty good, despite the pre-production status. Only the display frame did not leave the best impression in regard to stability. The XMG P505 uses pretty high-quality materials in general. While the keyboard and the keyboard frame are rubberized, the palm rest, the cover and the bottom are made of sandblasted aluminum. 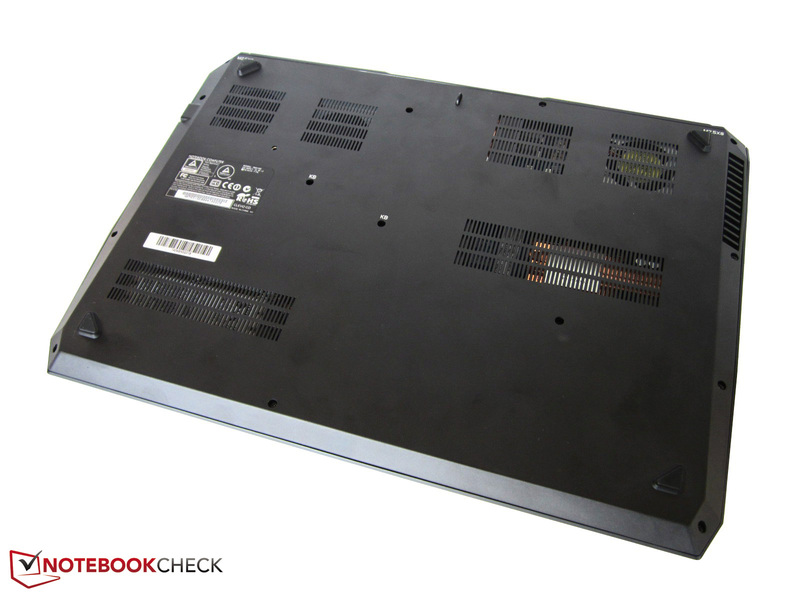 The surfaces of the similar P650SE barebone are supposed to be made of brushed aluminum. The overall stability of the review unit is okay, even though you can heavily twist the display cover, which is a common issue for notebooks. The rest of the chassis has no problems with pressure. The biggest surprise for us was the design. Clevo was known for pretty simple (W650SJ, W355SS, P170SM-A, etc.) or playful (P177SM-A) designs in the past. However, the Taiwanese offer a modern yet still subtle chassis with the P651SE, and the shape reminds us of the 13-inch sibling W230SS. Color and materials are similar to the MSI GS60 and Gigabyte P35W v2, respectively. 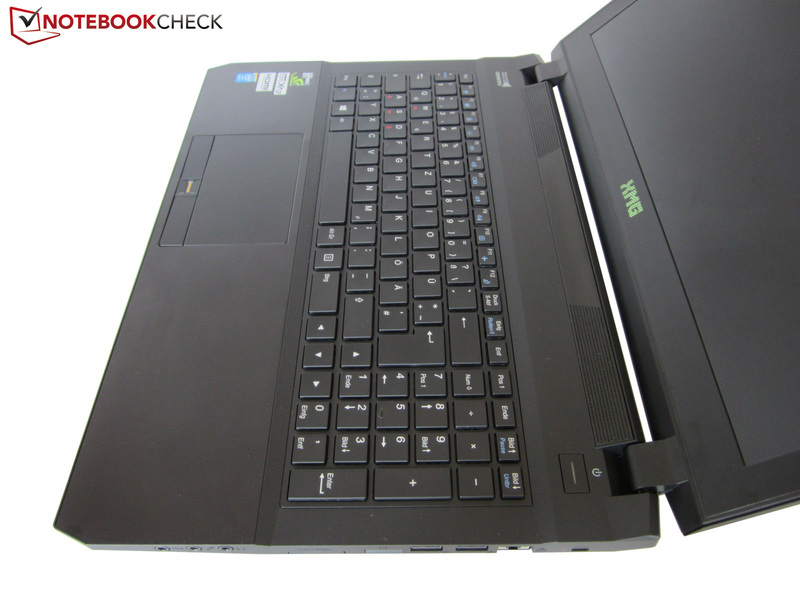 All things considered, Clevo managed a solid 15-inch notebook that can compete with the rivals, but it is not enough for the top spot because of some small issues. Asus and Alienware are still superior in this section. The number of ports was slightly reduced compared to the last generation. The P651SE barebone only has three instead of four stereo jacks (headphones, microphone, S/PDIF) and the integrated card reader only supports six instead of nine standards. 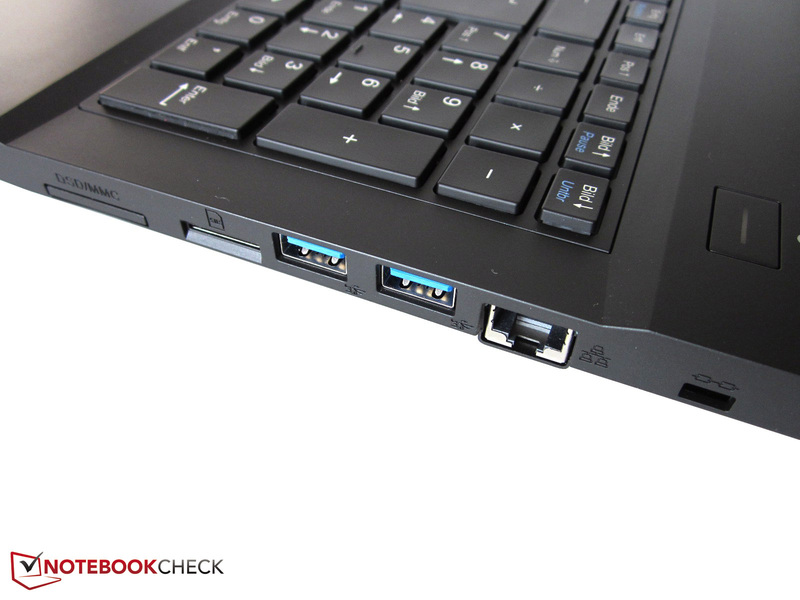 Clevo tries to compensate for the waived Firewire port with a SIM-card slot. Otherwise, the XMG P505 still has four USB 3.0 ports (one as a combined USB/eSATA slot), one Ethernet port and a Kensington lock. Video outputs are available via HDMI (1920x1200) and two Mini DisplayPorts (3840x2160). This means the port variety is pretty good, despite the reduction. However, we have to criticize Clevo for the suboptimal port layout. While the P150SM-A and P157SM-A, respectively, were suited for left and right-handers thanks to the available ports at the back, some ports are very far to the front of the new P651SE. This means there can be issues with attached cables when you use a mouse. The security aspect is not ignored in this case. 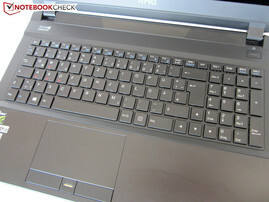 The XMG P505 is one of the few high-end notebooks with a fingerprint reader that sits in the center below the touchpad. A TPM 2.0 chip is integrated as well. We already mentioned that we were not able to check the wireless adaptor. 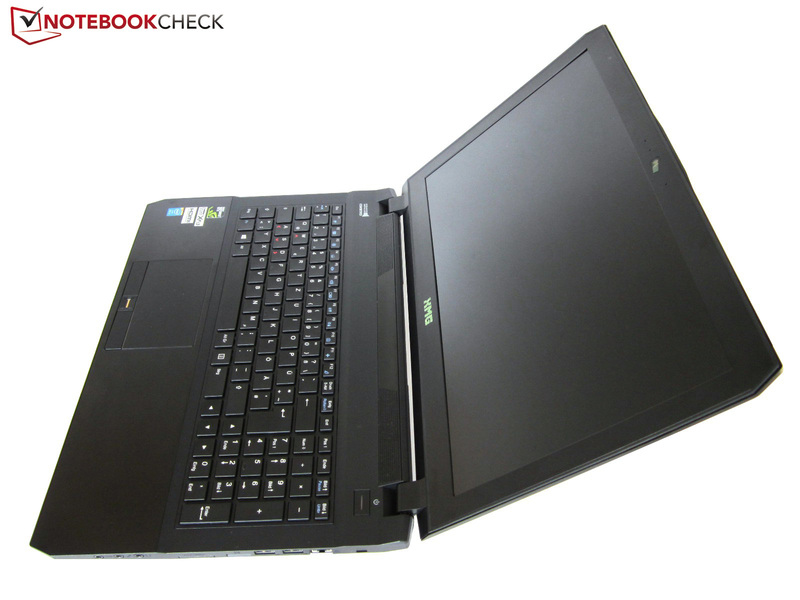 Schenker equips the notebook with the Wireless-AC 7260, which is one of the most successful products from Intel. 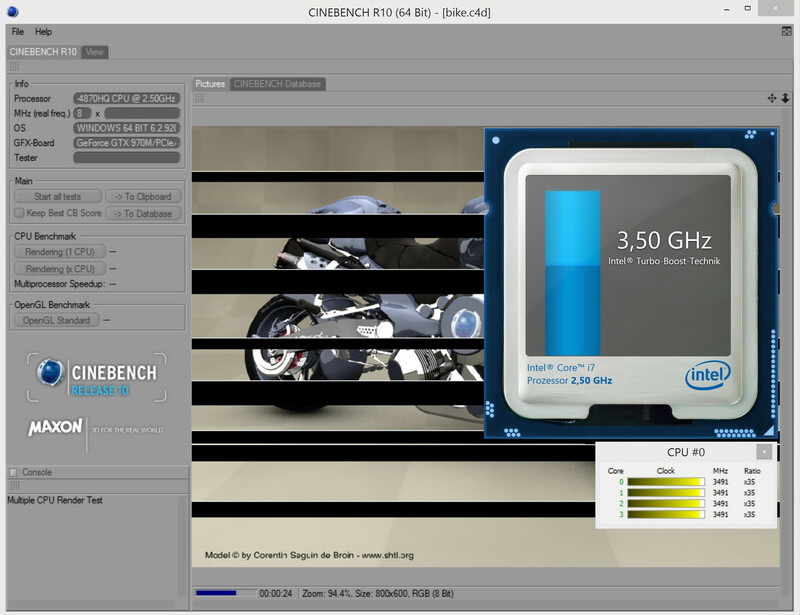 Thanks to ac and 5.0 GHz support, the M.2 module ensures a good performance for the upcoming years. Bluetooth fans will be happy about the support for the 4.0 standard. We think the maintenance capabilities are good, despite more than ten screws that secure the bottom cover. It requires some force to remove the cover, but after that the user can access the WLAN module and two memory slots, and also the 2.5-inch tray and the other M.2 slots. The cooling solution with three fans dissipates the heat from the CPU and GPU individually and can be accessed as well. However, we don’t really like that the battery is secured with screws. That both the processor and the graphics card are soldered onto the motherboard becomes more and more standard, despite the disadvantages if one part should be defective. You can at least replace the keyboard, which covers the other two memory slots. 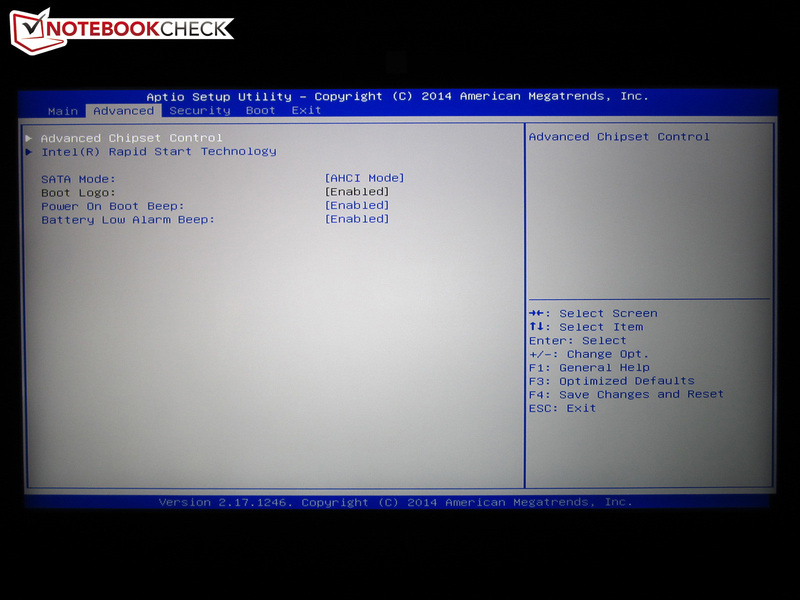 If you like a clean operating system, then Schenker is definitely the right choice. 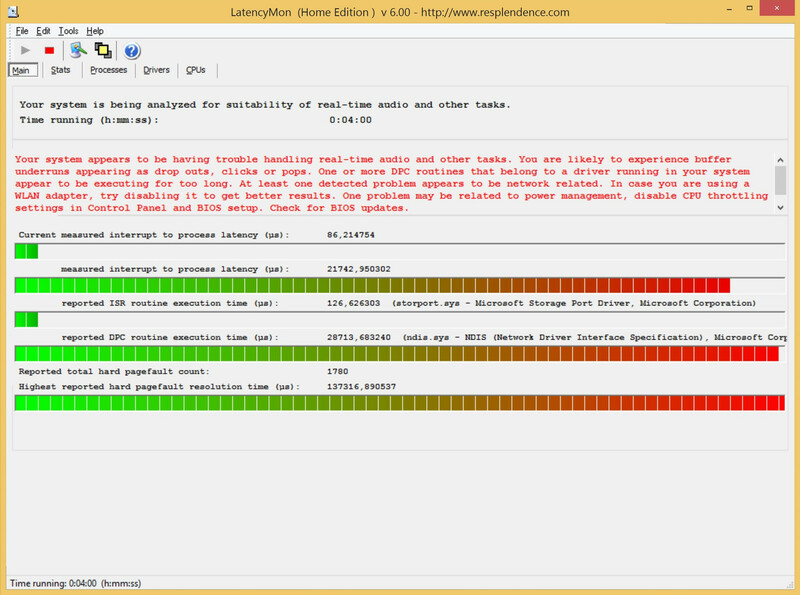 As you can see on the screenshot at the right side, there are only around 20 drivers on the hard drive. 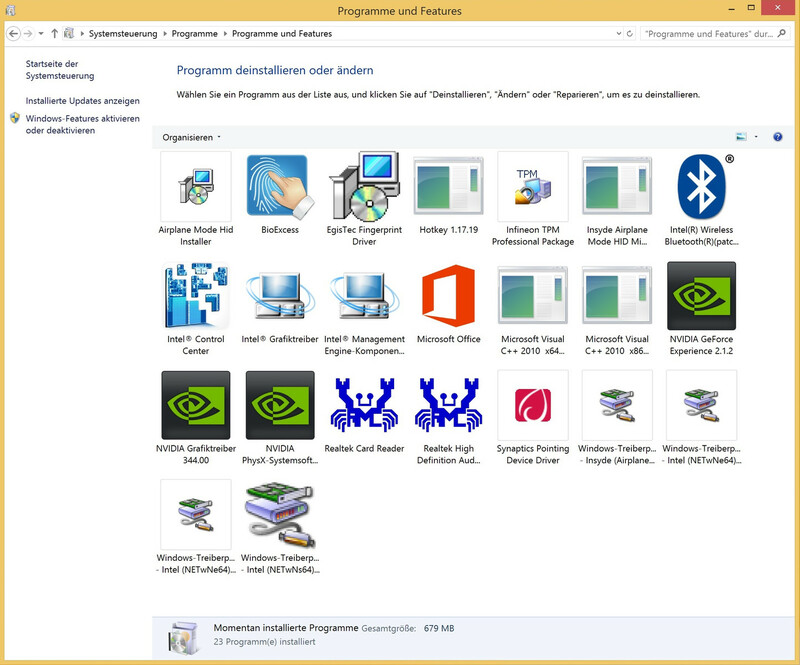 No comparison to big manufacturers like Acer, Asus or MSI who like to install a lot of bloatware. You can call the scope of supply meager. 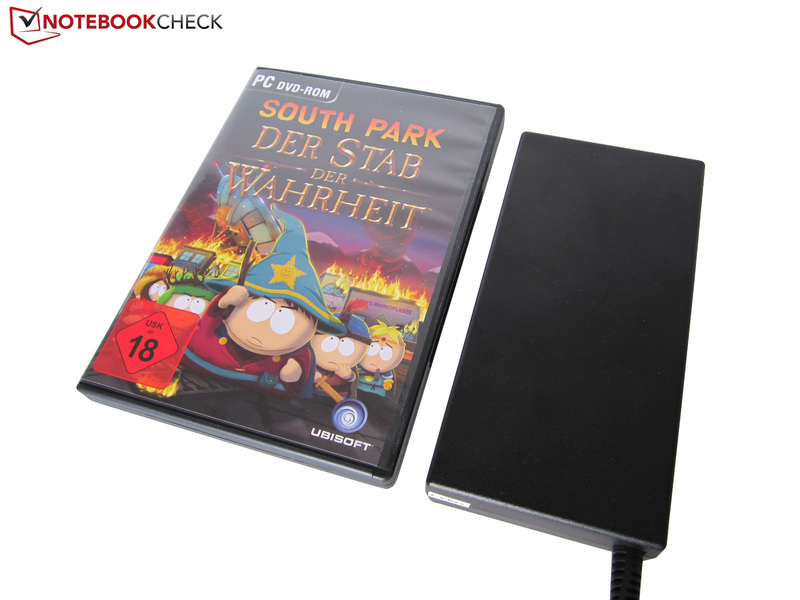 The box includes a 590-gram power adaptor (16.7 x 8.2 x 2.5 centimeters), a driver DVD and burning software (Nero 12 Essentials), but that's it. The final product should also have a manual or a quick-start guide. Great: You get the original Windows DVD if you order an operating system. The basic warranty period is 24 months (pickup & return service). The warranty can be extended to 36 or 48 months for an additional charge of 150 or 300 Euros (~$191 or ~$382), respectively. Surprisingly, the keyboard is not the 3-zone version from the XMG P504, but the single-colored chiclet version from the XMG A504, which was slightly modified (red markings for the WASD keys). A big advantage of this version is that you get used to it very quickly. While the P157SM-A barebone has several shifted and/or resized keys, the P651SE meets the standard layout. 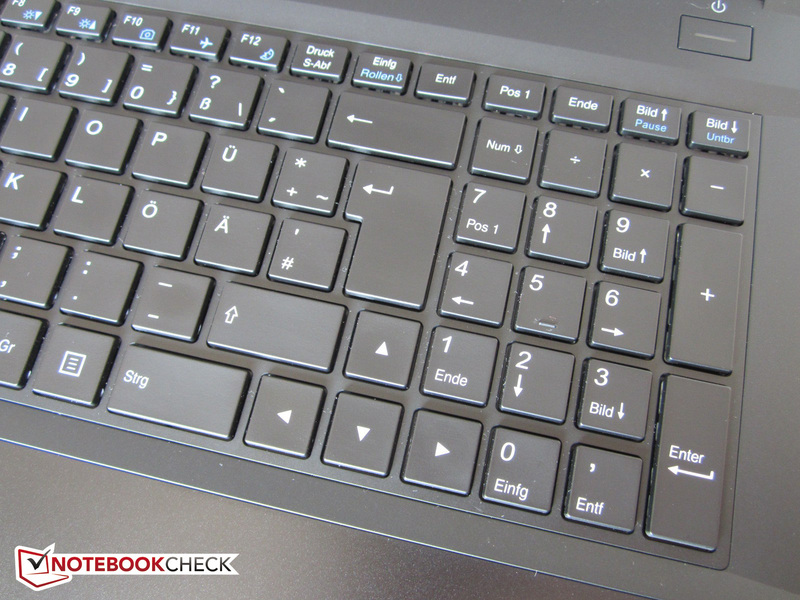 Only the standard-sized arrow keys take some space from the main keyboard and the numeric keypad, respectively. All the keys except for the F-row and the numbers are 15 x 15 millimeters. 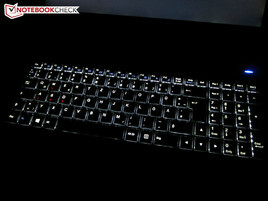 It is a matter of taste if you like the generous spacing, but the keyboard is usable in terms of quality. Inputs from other gaming notebooks do not sound as rickety, but pressure point and stroke should meet expectations. There is hardly any criticism about the two-stage illumination, either, even though the intensity could be a bit higher. 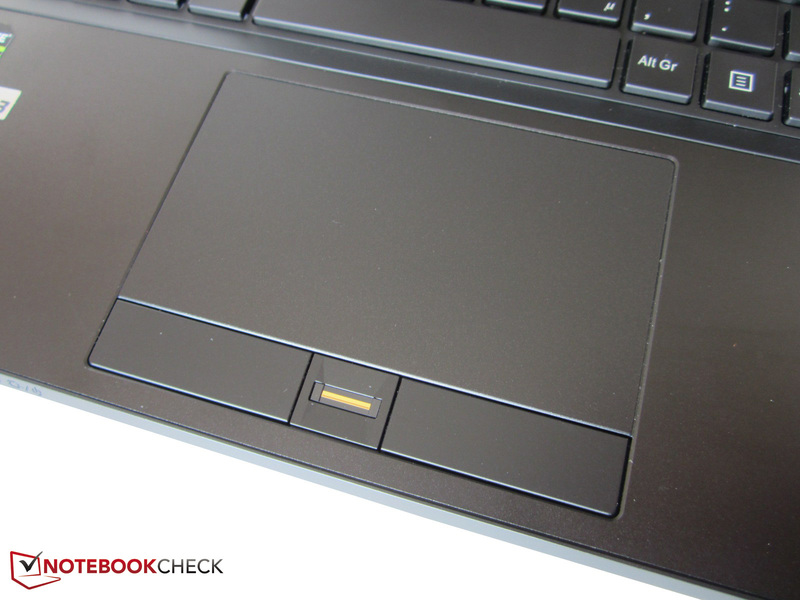 The touchpad is very big when you consider the limited space: 107 x 62 millimeters even surpass some 17-inch notebooks. This means even longer distances on the screen are no problem in combination with the smooth surface. However, the precision and the gliding capabilities are just average. Sometimes the recognition and the gliding behavior are not perfect. As expected, the mouse replacement supports multi-touch inputs. Two-finger gestures like zooming and turning are activated ex-works. Conventional scrolling areas at the right side and the bottom are very convenient as well. The dedicated mouse buttons are not that convincing. 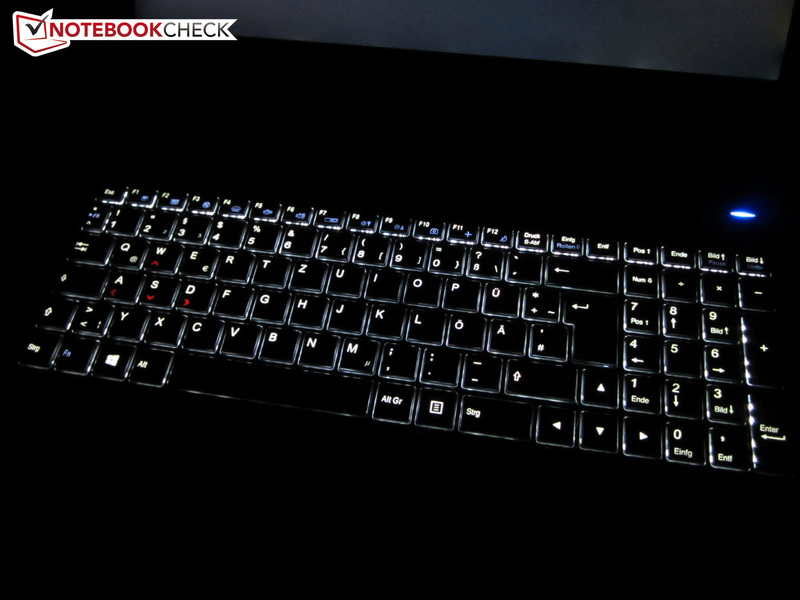 The reason: Compared to the firm keyboard feedback, the buttons are pretty spongy and imprecise. Tip: The touchpad is slightly shifted to the left side, so you should deactivate it (Fn + F1) during gaming when you use an external mouse, otherwise there can be accidental inputs. There is also an option to automatically disable the touchpad should an external mouse be detected. While 1920x1080 pixels was the maximum display resolution a while ago, there are now more and more devices with 3K and 4K displays. The barebones expert Clevo is one of the pioneers in this discipline. The W230SS could already be configured with a QHD+ panel (3200x1800), but the manufacturer now offers an even higher-resolution panel with up to 3840x2160 pixels. We don’t have to mention that a QFHD panel is extremely sharp. 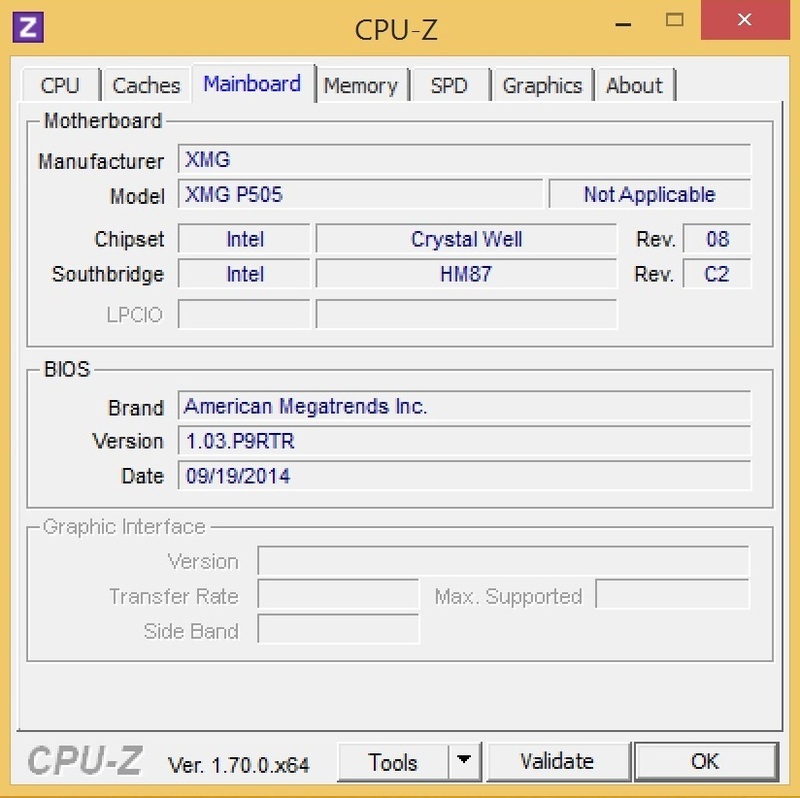 More important is the behavior in practice, and, unfortunately, there are still big issues: Even Windows 8.1 cannot handle such a high resolution and shows windows, fonts and other elements either too big or – which happens very often – way too small (see screenshot), despite the settings in the system control. The same applies for the WQHD+ version with 2880x1620 pixels, even though the mentioned problems are not as dramatic. This means we wouldn’t recommend a 3K or 4K display at the moment. Another reason is that the GPU is often not powerful enough for these resolutions. One example: You can play Battlefield 4 with the ultra preset and 1920x1080 pixels (also very sharp) with almost 55 fps on the XMG P505. With 3840x2160 pixels, the frame rate drops by around 66% (17 fps). The measurements of the QFHD panel (Sharp LQ156D1JX01B) are excellent. 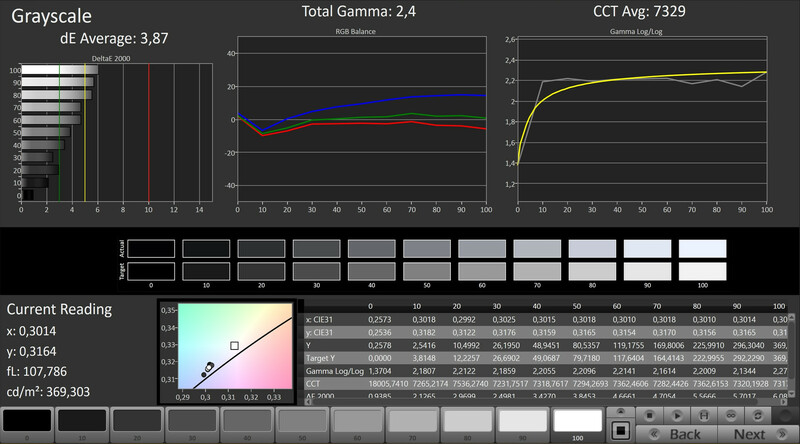 The contrast is more than 50% higher compared to the WQHD+ panel of the MSI GT60 Dominator (1,643 vs. 1,067:1), and the luminance is better as well with 333 vs. 276 cd/m². The notebooks hardly differ in terms of color presentation. 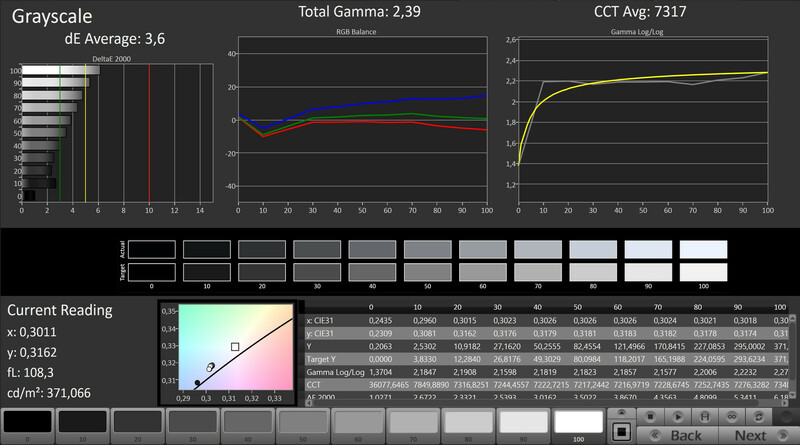 Our CalMAN software shows a pretty high accuracy for both panels. Displays with the TN technology usually have much worse results. Professional users can see a minimal blue cast, but the drawback is not serious. Much more annoying in our opinion is the meager brightness distribution. 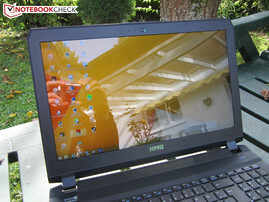 Our review unit had problems with screen bleeding, especially at the top of the display. However, you can only see it with plain and/or dark backgrounds. Another problem is once again the glossy surface. 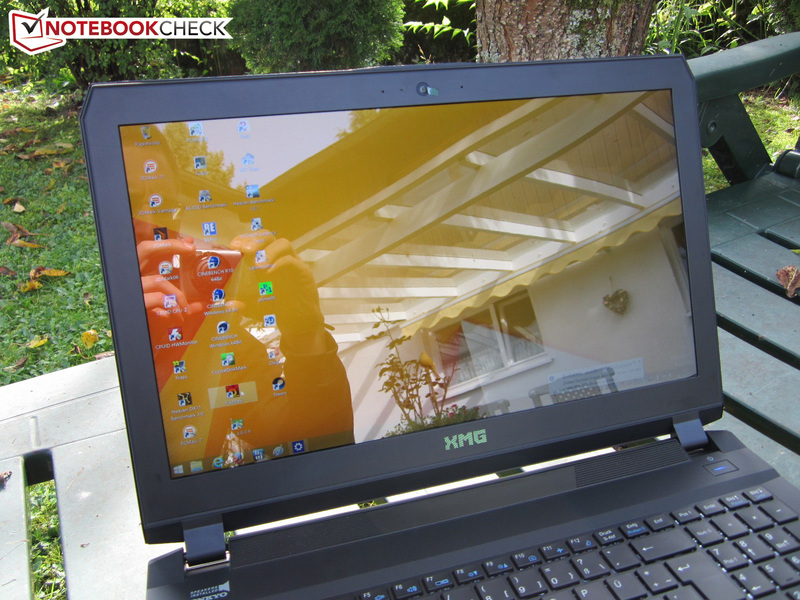 Despite the excellent brightness, the display creates extreme reflections. The eyes are pretty overstrained, even indoors. Depending on the location you might want to cover windows. The panel does deserve praise for the generous viewing-angle stability, which is similar to other IPS screens. You can only see some distortions from an angle above. 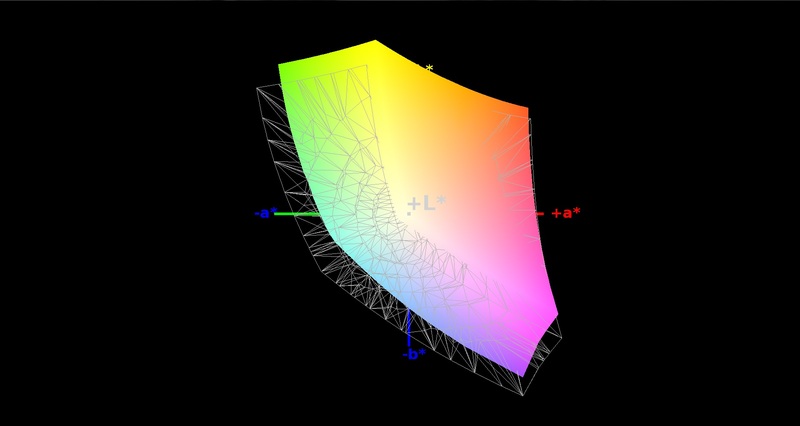 Note: We cannot confirm that the display covers 100% of the sRGB color space (according to Schenker’s website). 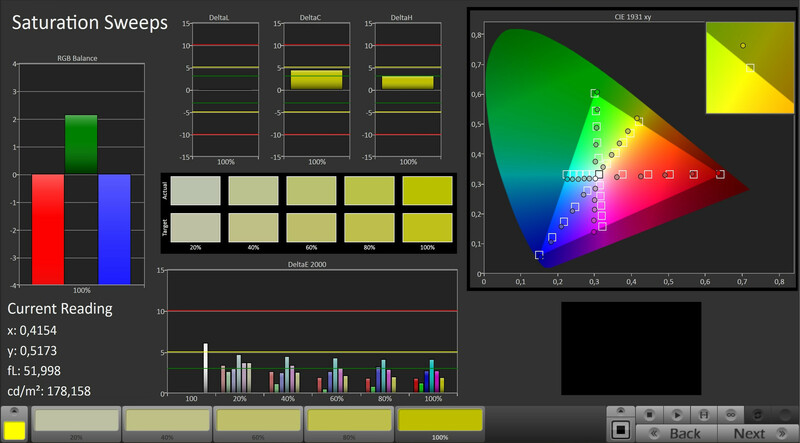 According to our measurements, the panel manages 80% sRGB and 59% AdobeRGB coverage, which is still pretty good. The supported processors not only differ in terms of the clocks, but they also use different integrated GPUs. While the Core i7-4710HQ (2.5-3.5 GHz) uses the familiar HD Graphics 4600, the 4770HQ (2.2-3.4 GHz) and the 4870HQ (2.5-3.7 GHz), respectively, are equipped with the significantly more powerful Iris Pro 5200. Otherwise, many specifications are similar. 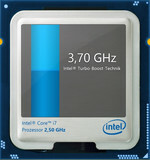 6 MB L3 cache and a TDP of 47 Watts are typical for the quad-core CPUs from Intel’s Haswell generation (22 nm). Thanks to Hyper-Threading, the quad-cores can execute up to 8 threads simultaneously. The XMG P505 uses Nvidia’s Optimus technology to reduce the power consumption during idle or with simple workloads. 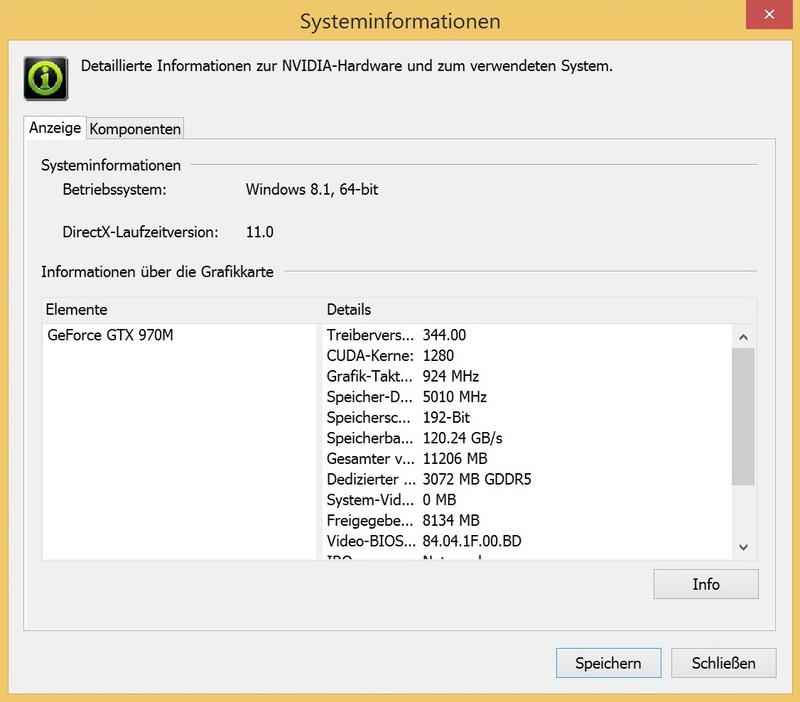 The GeForce GPU is only activated if the performance is really necessary. A small drawback is the behavior of the Turbo Boost feature. 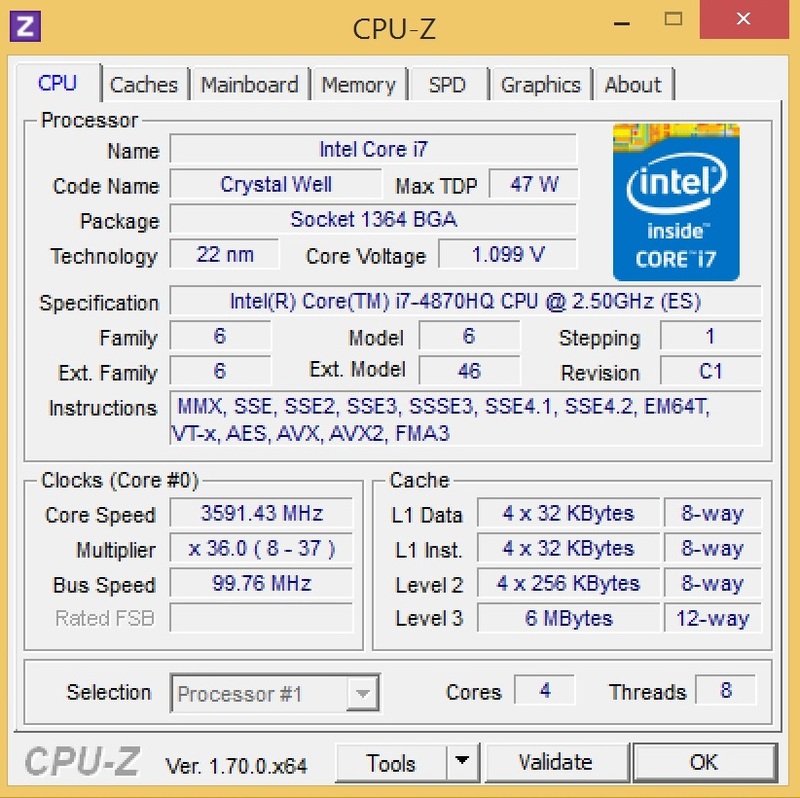 The Core i7-4870HQ reaches 3.5-3.7 GHz under load, but the clock sometimes drops to 2.5-3.0 GHz for short periods, even though this is hardly noticeable in the benchmark results. Clevo barebones often had problems with utilizing the maximum Turbo Boost potential in the past (also see P177SM-A). Potential owners will have to decide if the additional charge for the more expensive versions is justified. 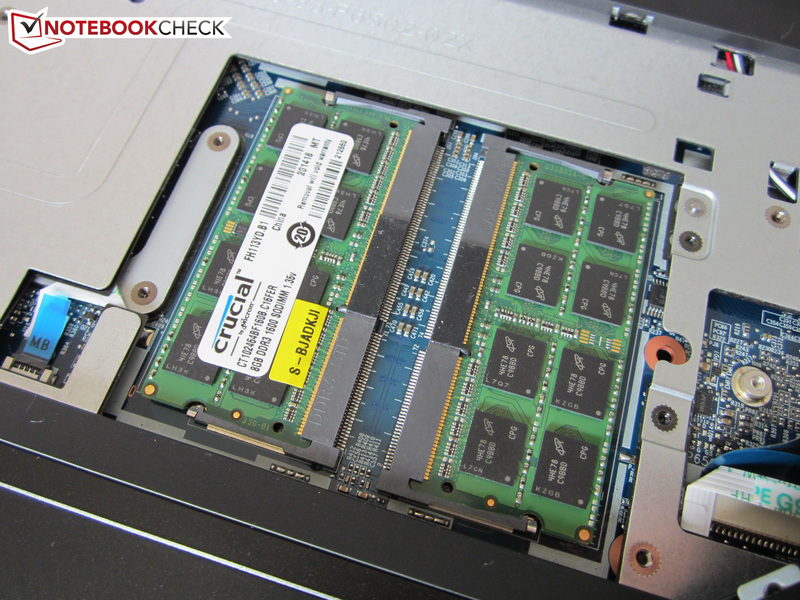 Our recommendation is the Core i7-4710HQ. We can only see a small impact of the fluctuating Turbo Boost in the single-core tests. 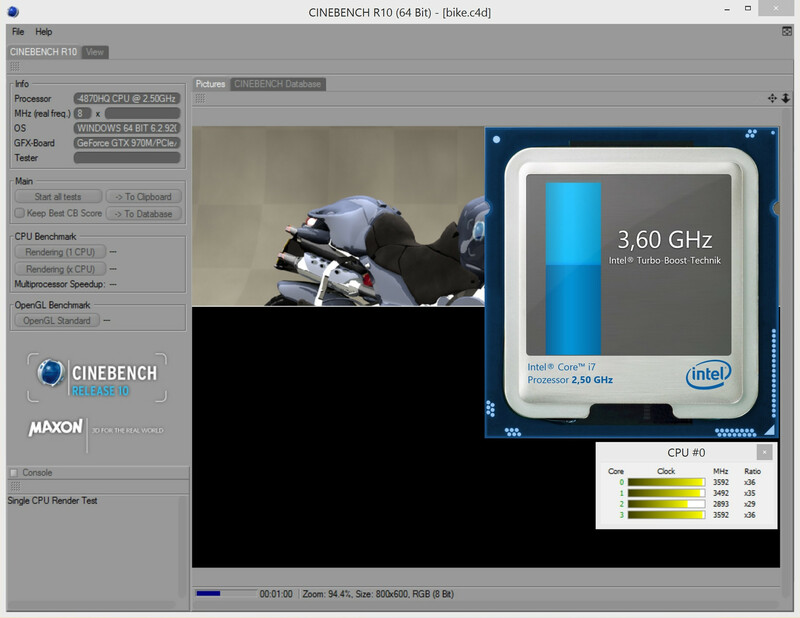 Despite the identical maximum clock, the Core i7-4870HQ was slightly slower than the Core i7-4810MQ inside the XMG P724 (142 vs. 145 points) in Cinebench R15. The 200 MHz faster Core i7-4910MQ manages around 8% more, whereas the Core i7-4710MQ is more than 15% behind (119 points @Medion Erazer X7831). 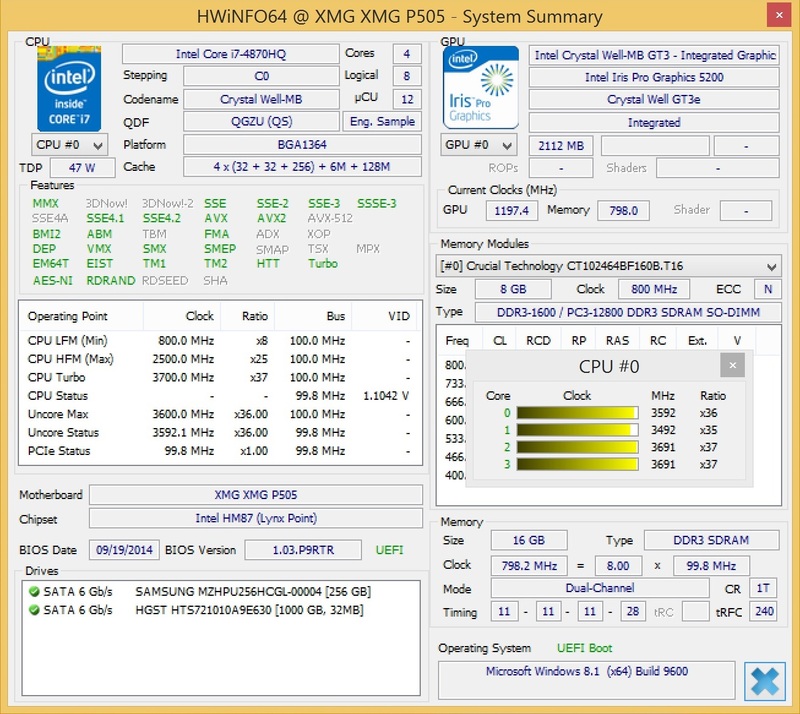 The XMG P505 can just take the lead in the multi-core test. 709 points is neither reached by the Schenker XMG P704 (697 points @i7-4910MQ) nor the XMG P724 (680 points @i7-4810MQ). 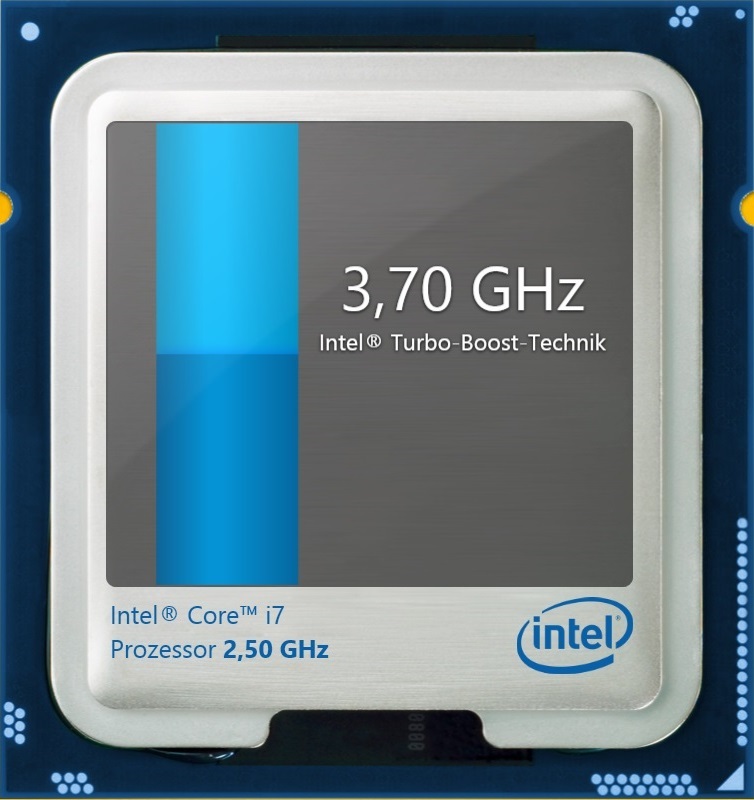 The Core i7-4710MQ is around 9% slower than the i7-4870HQ. With the GeForce GTX 980M and GTX 970M, the Maxwell architecture is finally available in the high-end chips. Despite the similar power consumption and identical manufacturing process (28 nm), Nvidia managed to increase the performance significantly over the 800-series. It starts with the GTX 970M, which has 1,280 shader units and a core clock of 924 MHz. The GeForce GTX 870M had 1,344 CUDA cores and a nominal clock of 941 MHz, but the new chip is still quite a bit faster thanks to several improvements. Nvidia did not really change the memory. Depending on the notebook, the GTX 970M can either use 3 or 6 GB GDDR5 video memory (interface: 192-bit). If you are looking for the maximum performance, then you should probably get the GTX 980M, which is available with 4-8 GB video memory (256-bit interface). The performance advantage over the predecessor is once again massive. Even though Nvidia still uses 1,536 shader units and "only" increases the core clock by around 10% (1,038 vs. 954 MHz), the GTX 980M is sometimes more than 50% faster than the GTX 880M. 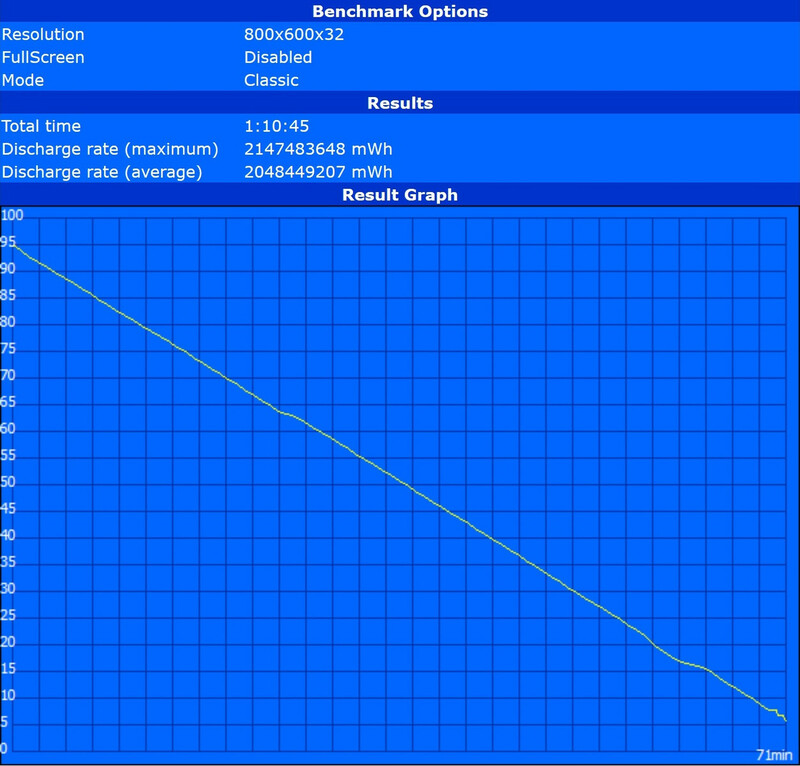 This statement is based on our benchmarks of the MSI GT72 that we will have in a review update soon. Nvidia is supposed to have made big advancements in regard to the Battery Boost technology. 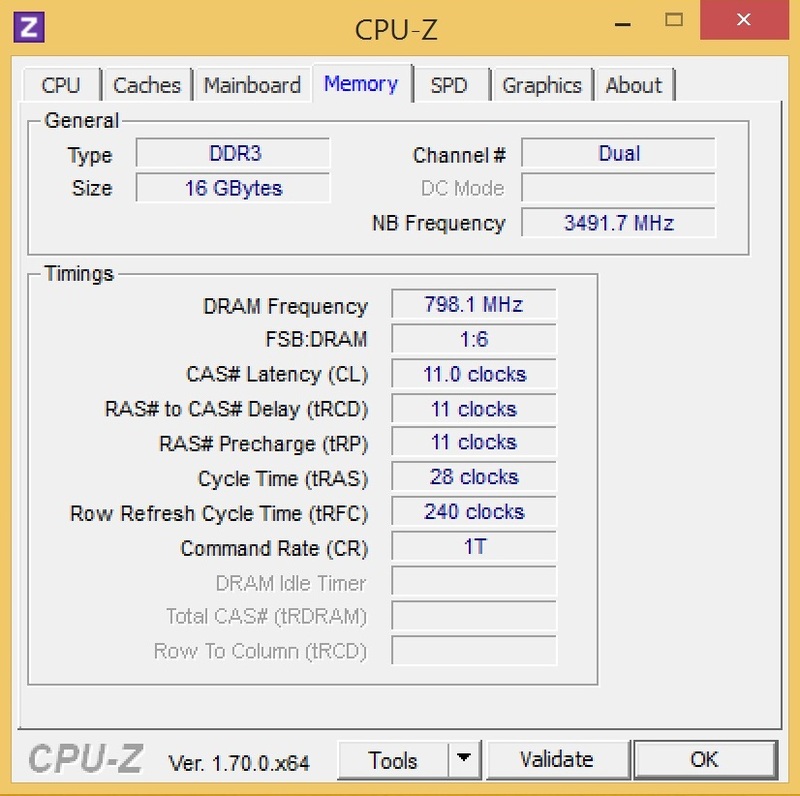 Another important aspect for gamers: The core clock can be raised by a couple of percent under load via GPU Boost. 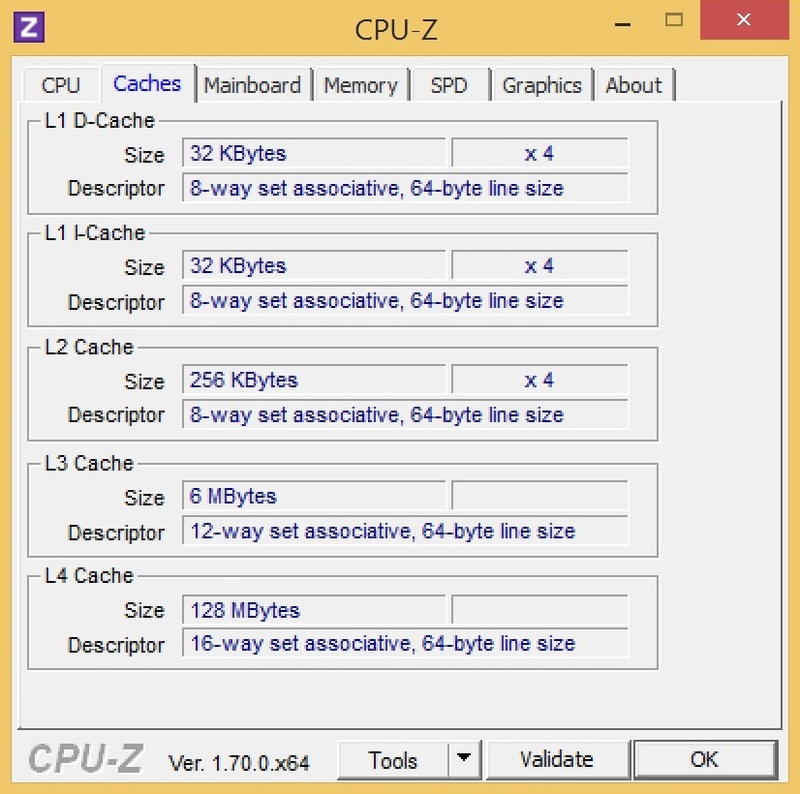 This means the GTX 970M can run with up to 1,038 MHz. Great: Nvidia provides the current ForceWare 344.00 for the notebook manufacturers. You will be quickly surprised if you only expected a small performance advantage from the GeForce 900 generation. A good example is the Fire Strike test of 3DMark 13. With a GPU score of 7,268 points, the GTX 970M is exactly 20% faster than the GTX 880M (6,044 points @Gigabyte P25X v2) and even 55% faster than the GTX 870M (4,071 points @MSI GT60 Dominator). The main rival from AMD also has a hard time against the newcomers; the result of the Radeon R9 M290X is 27% lower (5,294 points @One K56-4N). The GTX 970M also performs well in the Unigine Heaven 3.0 benchmark with 1920x1080 pixels and normal Tessellation. 93 fps is 14% faster than the GTX 880M (~82 fps). The GeForce GTX 870M and Radeon R9 M290X are around 30% slower (62-64 fps). All in all, Nvidia created a very powerful high-end chip that easily beats the 800-series. However, it looks like the corresponding notebooks will be comparatively expensive. Desktop PCs still offer a much better price-performance ratio. One of the most important decisions for the user will be the storage solution. 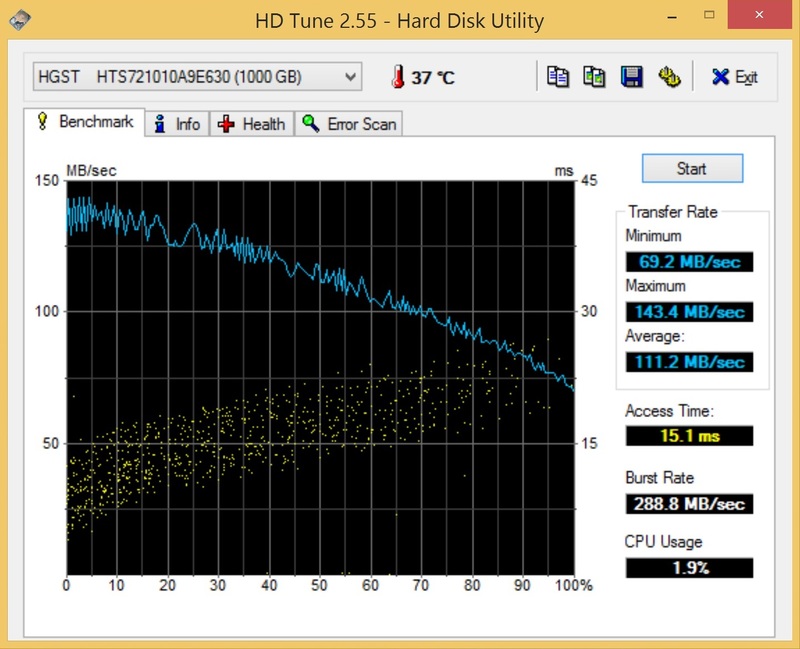 Besides a dozen Solid State Drives, Schenker also offers several HDDs. 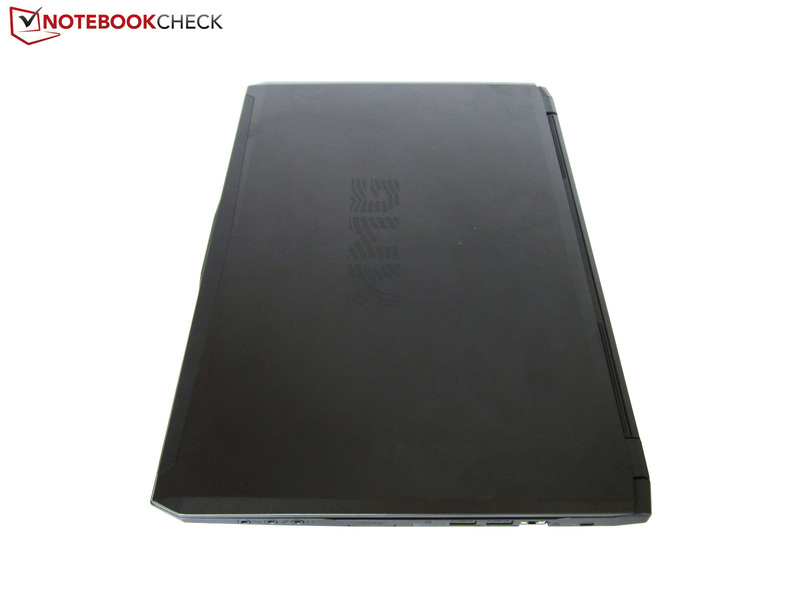 Our review unit is equipped with a combination of M.2 SSD and 2.5-inch HDD, which should ensure a fast Windows operation and a decent amount of storage capacity. 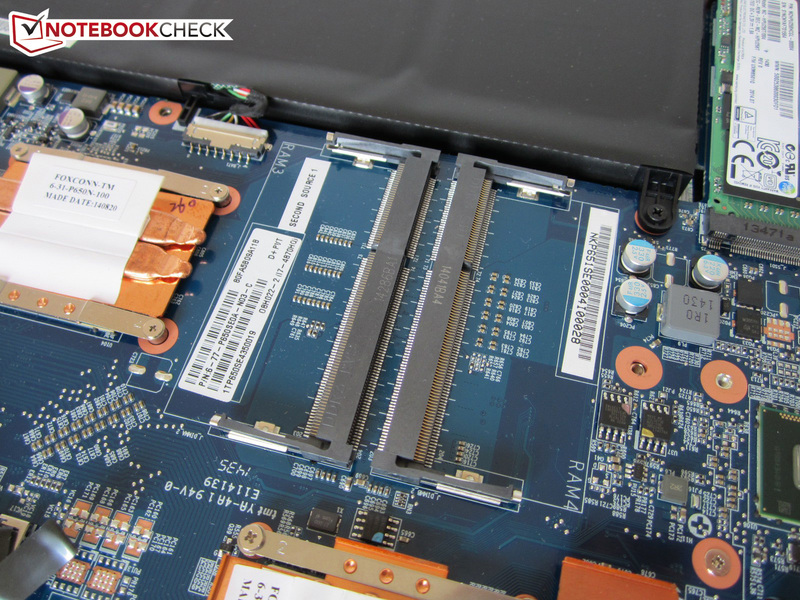 Thanks to the PCIe-x4 interface, the Samsung XP941 has a huge advantage over a standard SATA-III SSD (up to 600 MB/s). 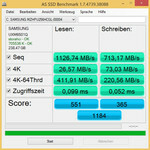 The 256 GB version manages sequential reads of 1,127 MB/s and sequential writes of 713 MB/s according to the AS SSD benchmark. 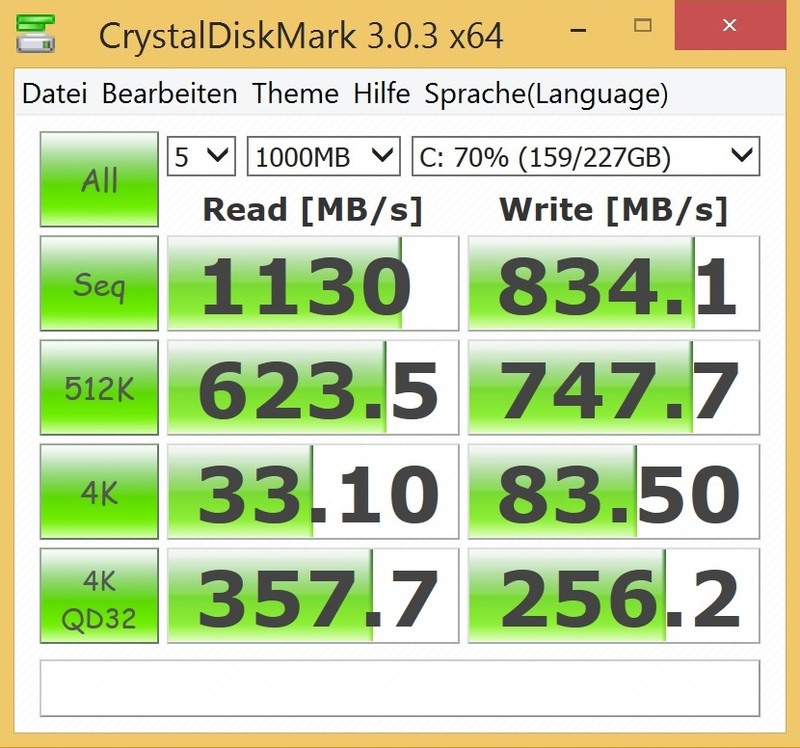 You had to use configurations with two or three SSDs in a RAID 0 system to manage these results in the past (e. g. the Gigabyte P25X v2 or the MSI GT72). 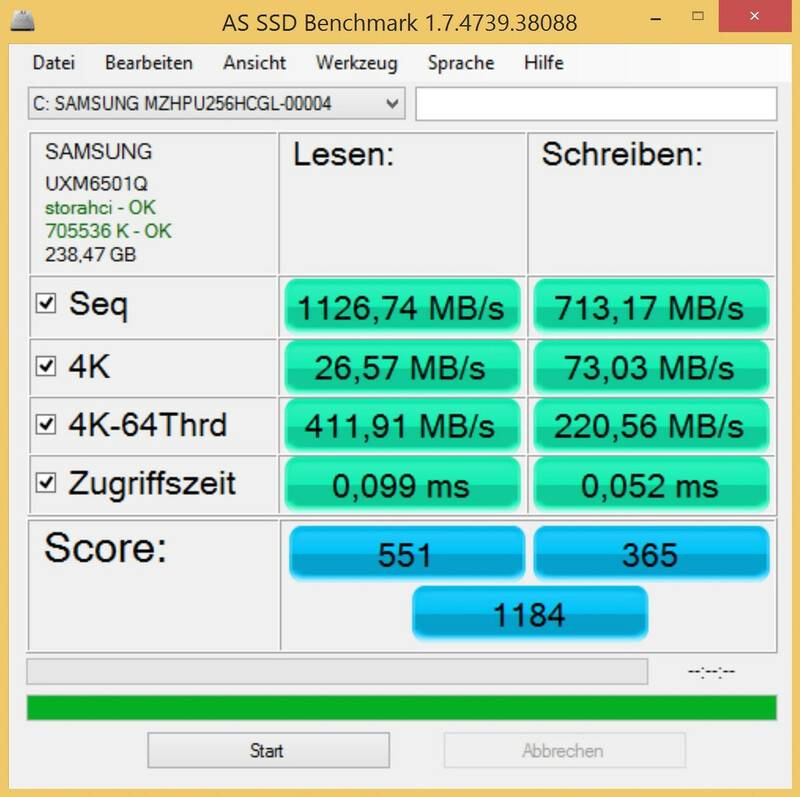 The access time of the Samsung XP941 is average with 0.052-0-099 ms and the performance with 4K files is on a level with the rivals. Our review unit was also equipped with the 1,000 GB HGST Travelstar 7K1000 (7,200 rpm), which is currently not in the configurator. This is unfortunate since the performance is on a very good level – at least for an HDD – with almost 130 MB/s. 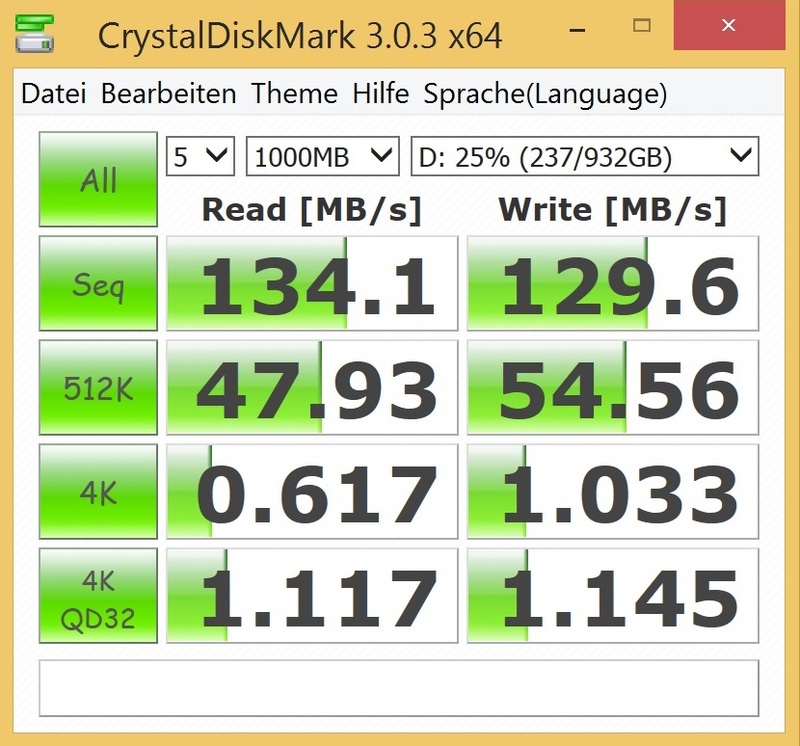 Note: The Solid State Drives in the M.2 slots have to meet the 2280 standard (= long version). 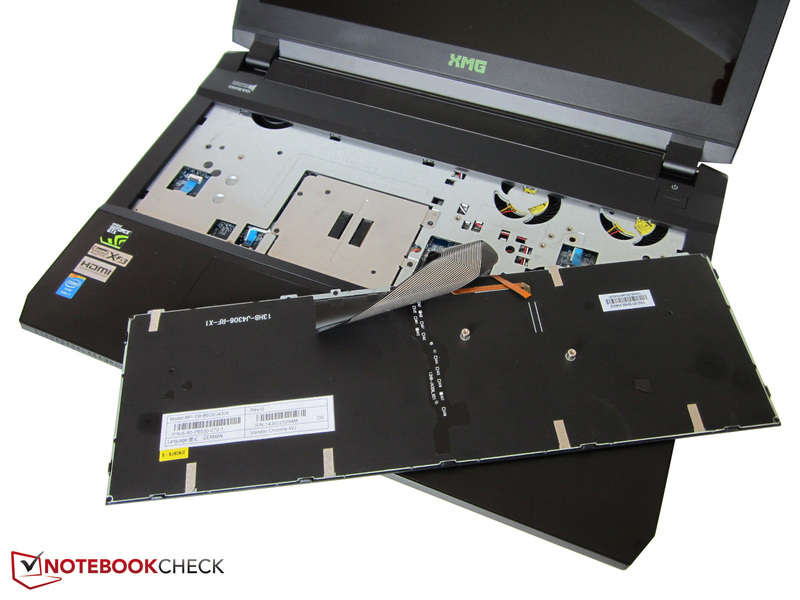 The XMG P505 can take a top spot in regard to the system performance as well: Only a few notebooks managed more than 6,332 points in PCMark 7 so far. 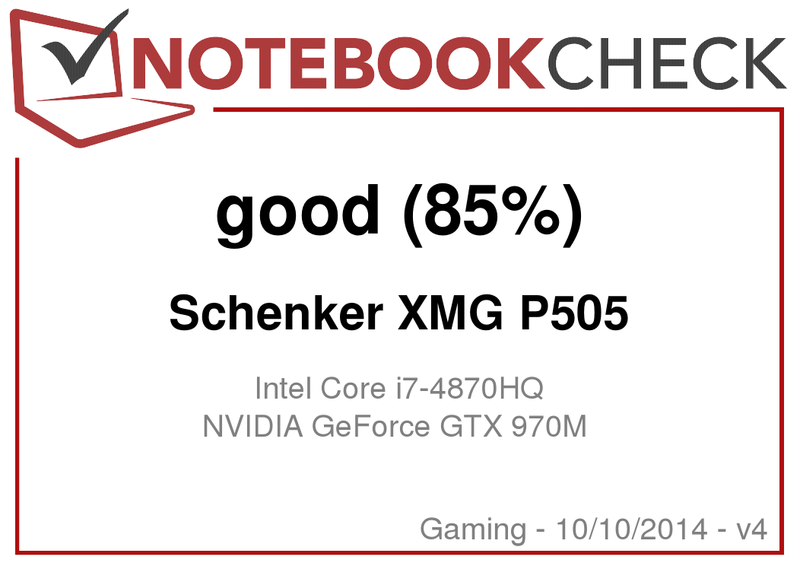 With this score, the 15-inch notebook is between the Schenker XMG P704 (6,220 points @i7-4910MQ, GTX 880M, 480 GB SSD) and the One K56-4N (6,408 points @i7-4700MQ, R9 M290X, 500 GB SSD). Green everywhere. We are not speaking about Nvidia’s dominance in the notebook sector, but the gaming table below. Thanks to its excellent performance, the GTX 970M manages almost every game with maximum details and multiple anti-aliasing. Only titles with very extreme requirements like Crysis 3 or Watch Dogs suffer from some dropped frames. All games could be played with more than 30 fps in the ultra setting (1920x1080). The frame rates are very high for a notebook, which is also evident when you look at the difference to the GTX 870M: +39% in favor of the GTX 970M (in total). The advantage over the Radeon R9 M290X is even slightly bigger with 45%. Even the previous top version, the GeForce GTX 880M, is beaten by almost 10%. The latter GPUs were often reviewed with an old driver, but that shouldn’t change the ranking. Dota 2 crashed repeatedly when we tried to load our benchmark sequence. GRID: Autosport and Wolfenstein: The New Order did not work in full-screen mode. The high system noise is actually not too bad when you consider that the chassis is just 25 millimeters thick (29 mm @ GTX 980M). The fans are clearly audible during 3D operation with 47-51 dB(A), but other thin gaming notebooks like the Gigabyte P35W v2 get even louder (~54 dB(A)). The MSI GS60 is louder than the P651SE barebone in 3DMark06 and the stress test, respectively, as well. 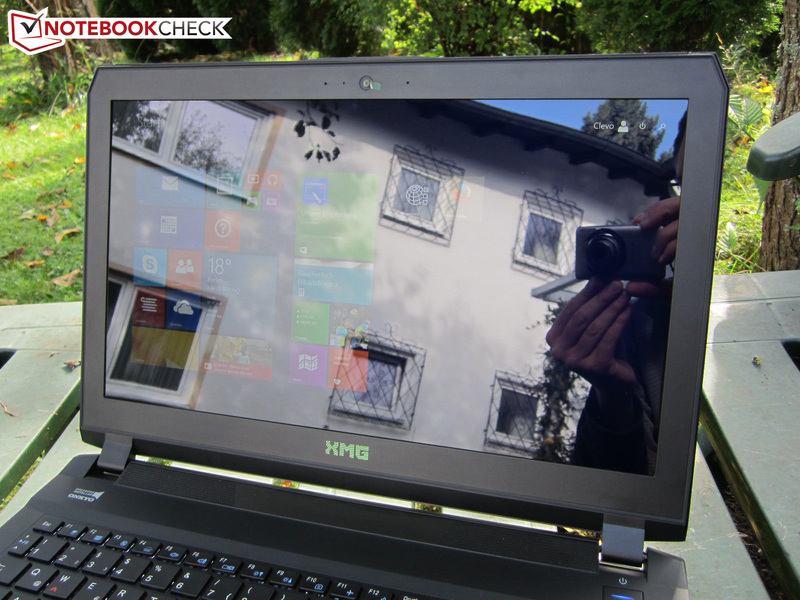 The 15-inch notebook does not have to hide behind the competition during idle, either. An average value of 34 dB(A) is decent for a high-end device. Ideal conditions (no load) even result in 30.2 dB(A), which is hardly audible. However, the fans tend to increase their speed very quickly and the cooling solution occasionally reaches 38 dB(A), which might be annoying for some users. Newer BIOS versions could solve this issue or at least improve the behavior. One of the biggest issues of the XMG P505 is the enormous temperature development. 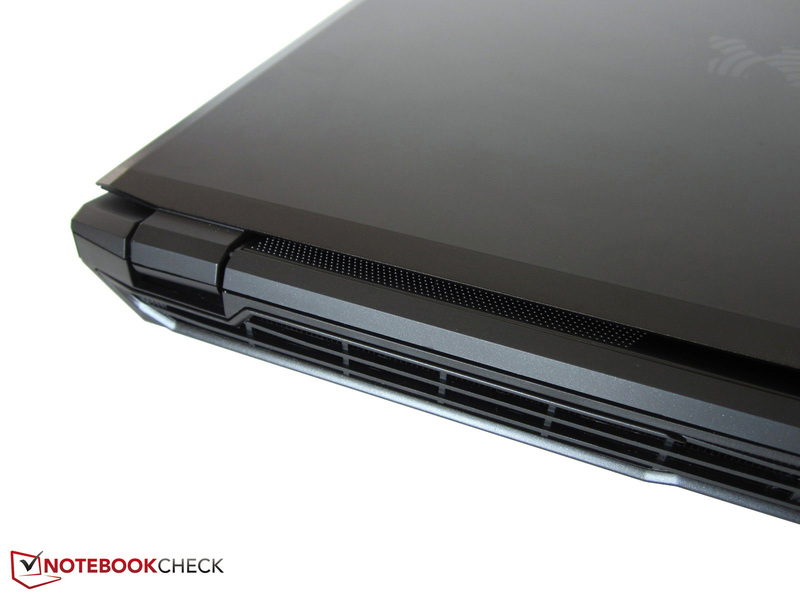 Up to 51 °C at the top and up to 76 °C at the bottom remind us of the MSI GS60, which reached similar values in the stress test. Longer gaming sessions on the lap can become very uncomfortable. At least the palm rest of the XMG P505 does not get quite as warm. 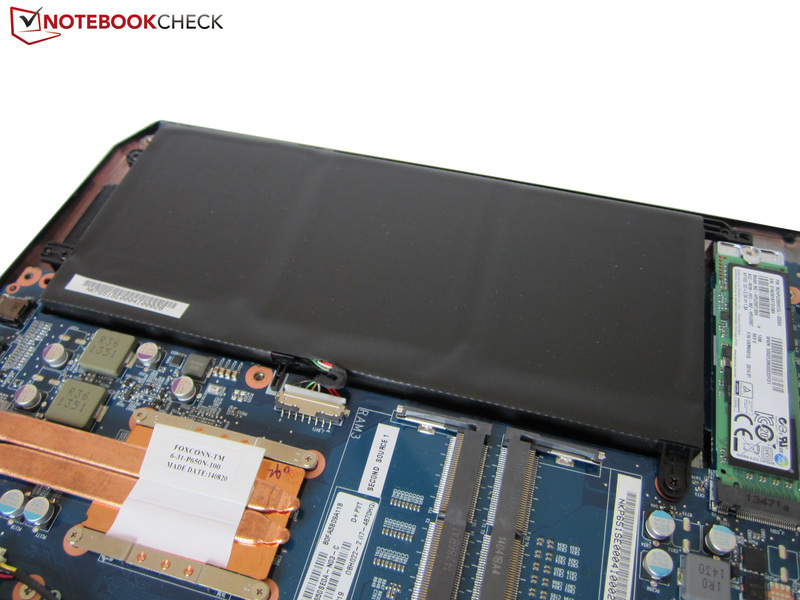 Instead of 36 °C we could measure up to 42 °C at the front for the MSI GS60. 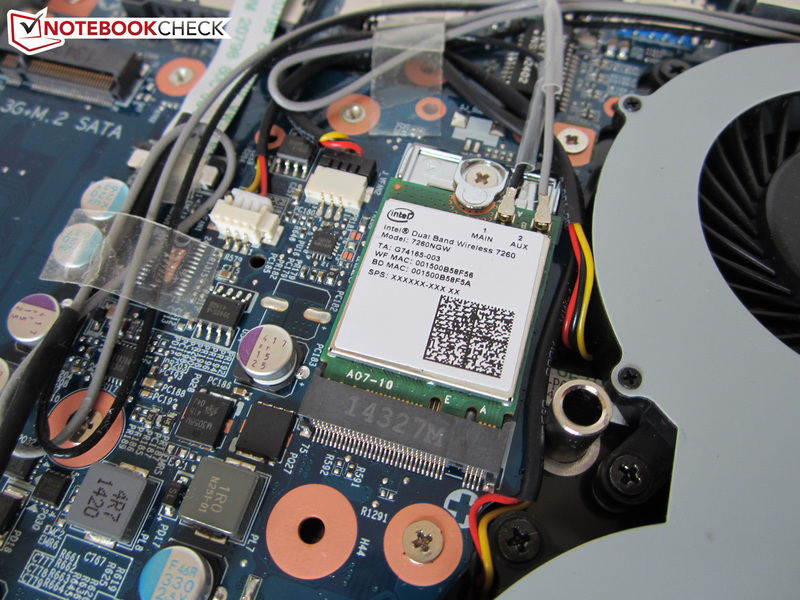 The notebooks stay much cooler while idling, our measurement device showed around 31 °C after a two-hour idle period. The hardware leaves mixed impressions: We could only observe a maximum temperature of 74 °C for the GeForce GTX 970M; the Core i7-4870HQ, however, scratches the 100 °C mark after 60 minutes of maximum load with the FurMark and Prime tools – despite the massive throttling (800 MHz). However, we already know that Intel’s quad-cores get very hot in general. 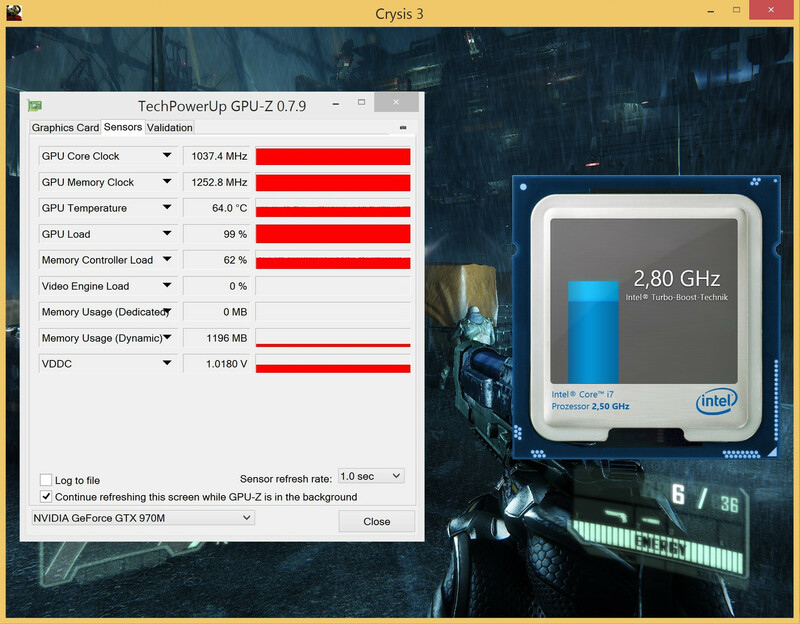 If you are afraid of throttling during gaming: A 40-minute test with Crysis 3 was performed without clock decreases. (-) The maximum temperature on the upper side is 50.7 °C / 123 F, compared to the average of 39.3 °C / 103 F, ranging from 21.6 to 68.8 °C for the class Gaming. (-) The average temperature of the palmrest area of similar devices was 28.7 °C / 83.7 F (-7.1 °C / -12.7 F). 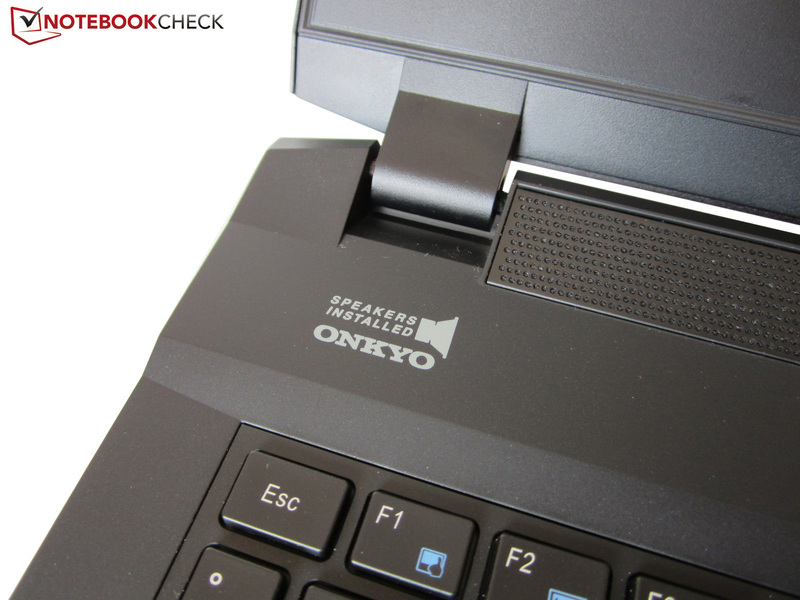 The Onkyo speakers are no disappointment, even though they cannot compete with the quality of thicker notebooks like the MSI GT60. Clevo did a pretty good job when you consider the thin construction. Sometimes you miss some precision, dynamic and volume, but the quality is decent for a notebook. We could even say that the sound of the XMG P505 was good if Schenker had installed the Sound Blaster software (X-Fi MB3). Bass and maximum volume are not bad at all, but we would still prefer an external solution when you plan to use the notebook as a desktop replacement for a longer period. One issue of the QFHD panel that should not be forgotten is the high power consumption: Our review configuration consumes 19.9-32.6 Watts, which is more than most Optimus notebooks. 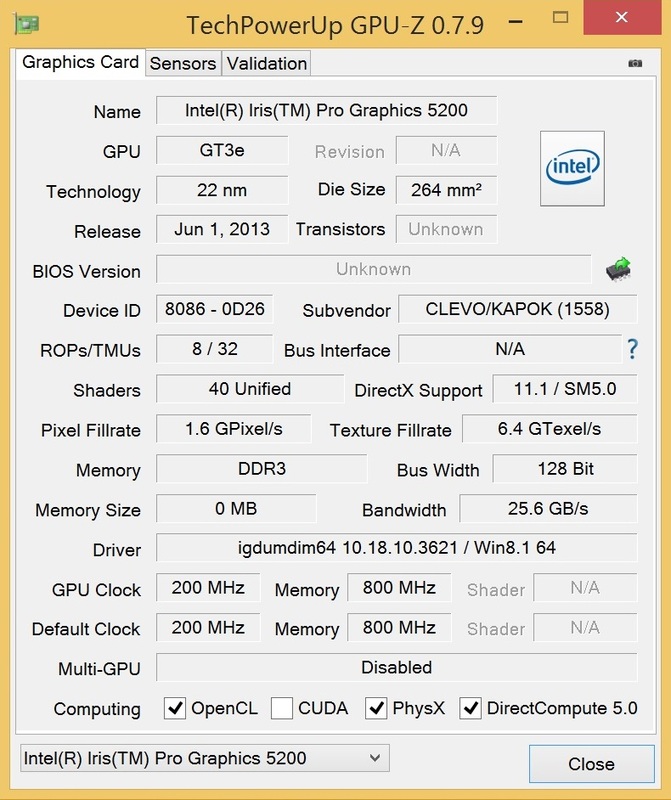 For comparison: The Gigabyte P25X v2 with a Core i7-4810MQ and a GeForce GTX 880M (Full HD panel) only consumed 10.3-28.9 Watts in our review. The situation is similar for the 15-inch sibling P35W v2 (14.3-23.7 Watts). The 3K versions of the MSI GT60 (15.0-31.0 Watts) and the MSI GS60 (10.5-23.3 Watts) consume less as well. 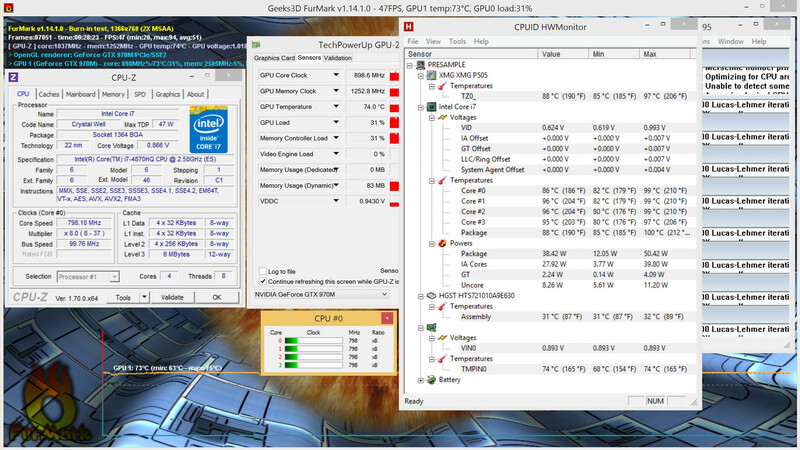 Our Schenker device reveals another problem under load: While the XMG P505 consumed 104-121 Watts in 3DMark06, the power adaptor was not sufficient for our stress test. Our measurement device showed 203 Watts before the CPU throttled. 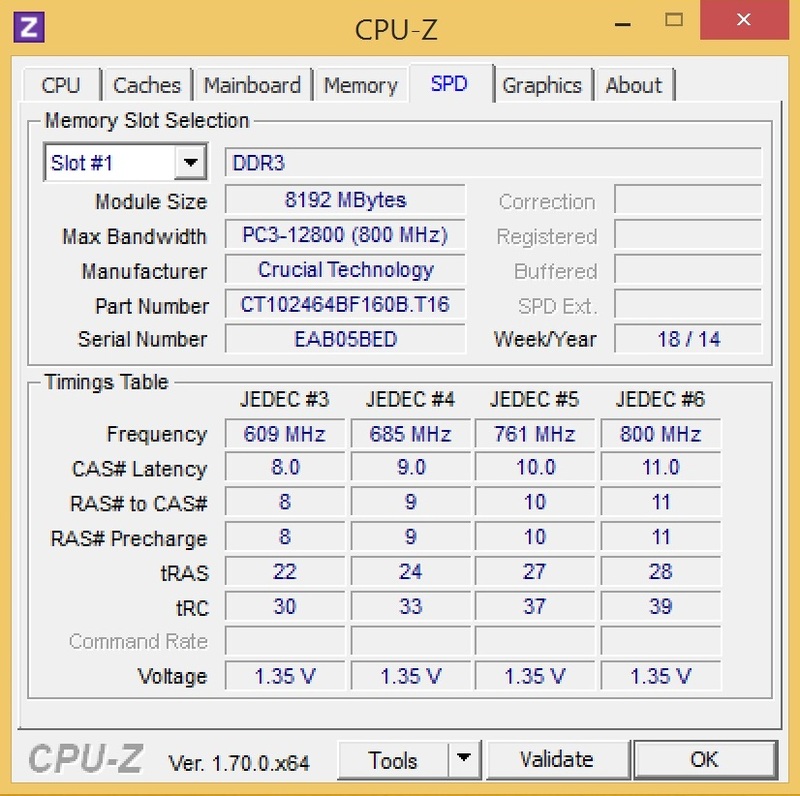 This means the PSU is not sufficient, even if it had an excellent efficiency factor. This is also confirmed by the maximum temperature of the power adaptor: 60 minutes of continuous maximum load resulted in almost 70 °C. 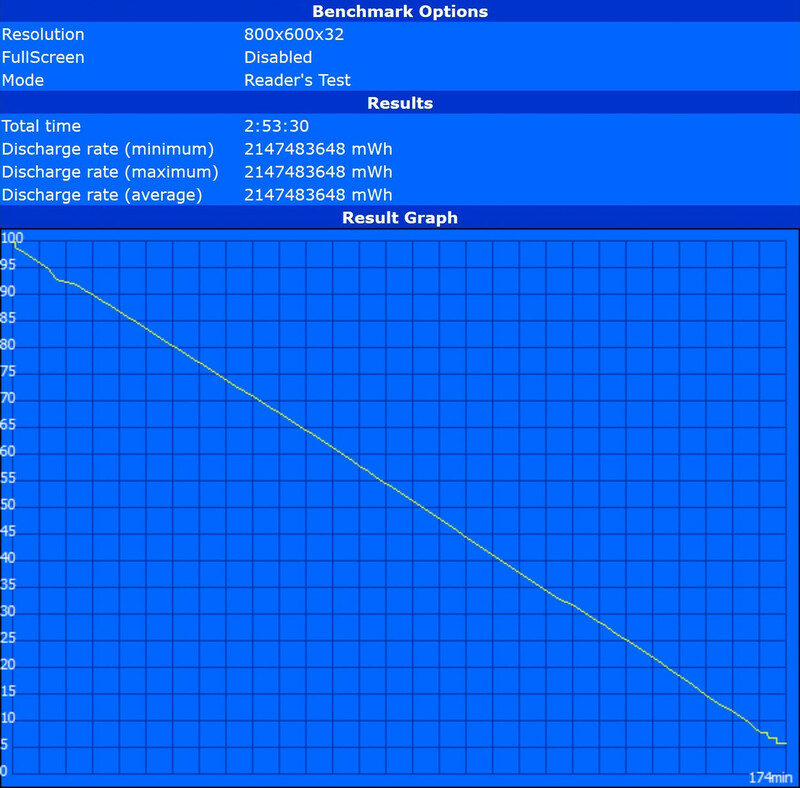 We were also able to determine a consumption of 150 Watts when we only stressed the GPU (FurMark without Prime). MSI knows why they equipped the GT72-series with a 230-Watt PSU after the PSU of the GT70 was heavily criticized. 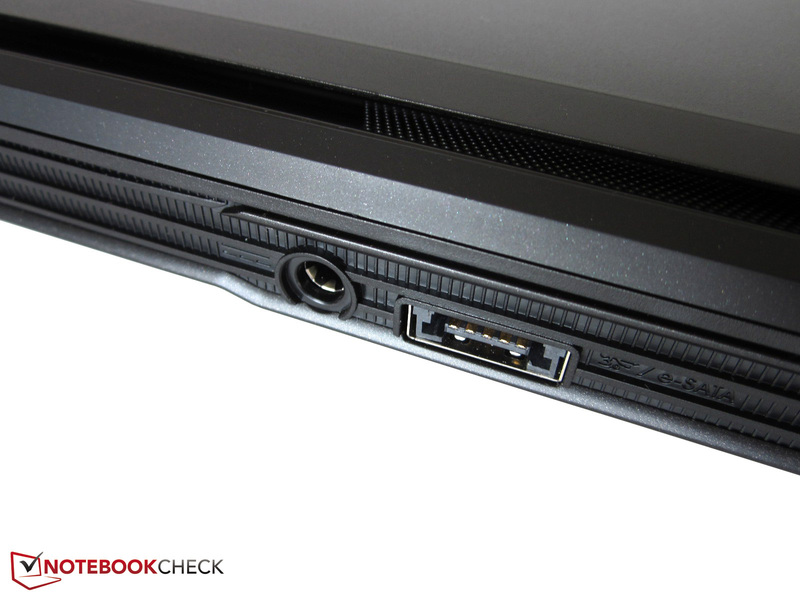 We think that a GTX 970M notebook should at least have a power adaptor with 180-200 Watts. The high idle consumption really affects the battery runtimes. Up to three hours is pretty poor, especially when you compare it to the Gigabyte P25X v2 (up to 14 hours!). Okay, its chassis is almost 1 centimeter thicker, but even the Gigabyte P35W v2 manages longer runtimes. But the result is not really surprising since the XMG P505 only has a 60 Wh battery. The two devices from Gigabyte have more powerful modules with 76-86 Wh. It seems that the MSI GS60 (52 Wh) was the role model. We would like to see a larger battery for the next version. The runtimes could be much longer for the Full HD configuration. 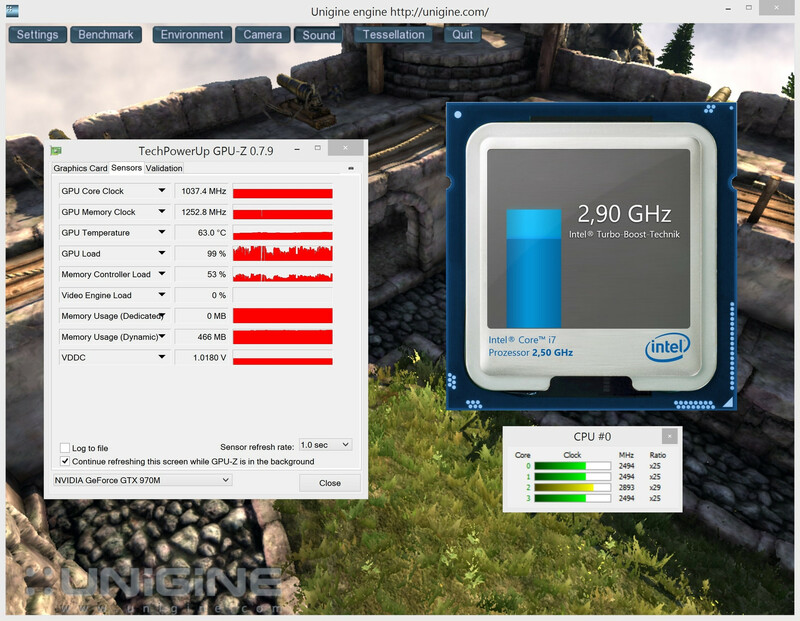 Unfortunate: The CPU only runs with up to 1.5 GHz on battery (GTX 970M @683/405 MHz). 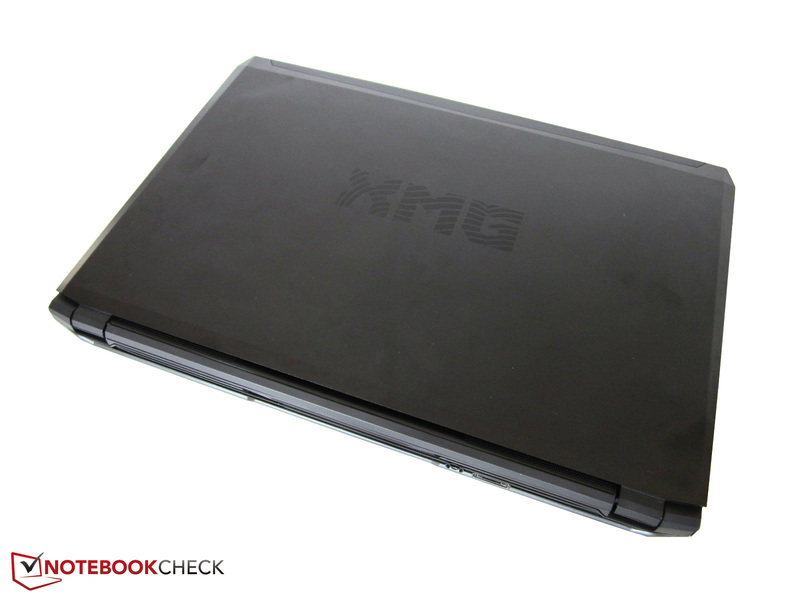 The verdict of the XMG P505 depends on how important the thin chassis is for you. If you are often on the road and don’t want to waive the high performance, then the P651SE barebone is a good choice. 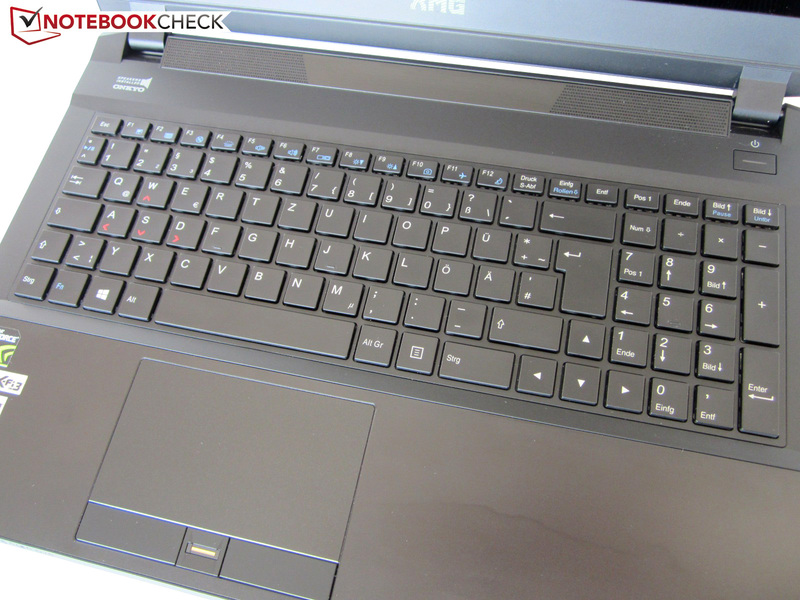 The gaming notebook is behind the rivals in some sections (see battery runtimes), but the high-quality metal chassis has some advantages like the low weight (~2.6 kg) or the modern design. 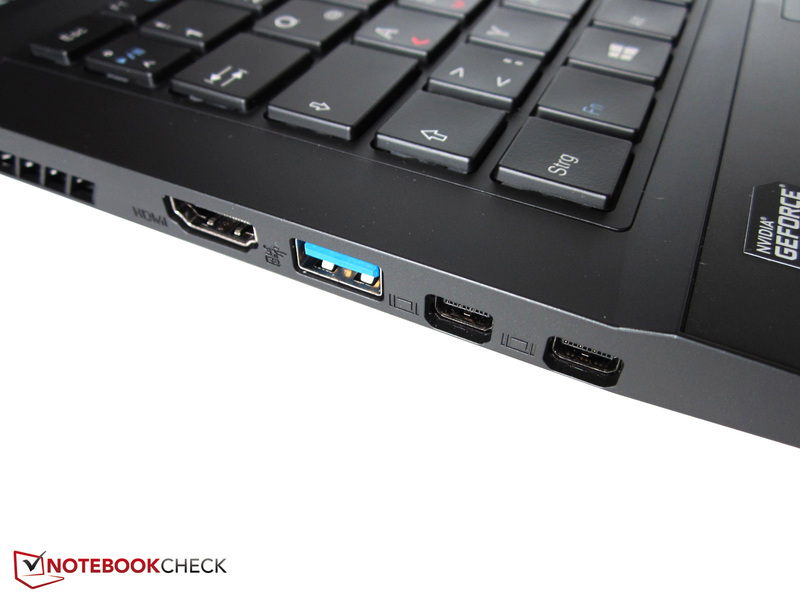 The barebone manufacturer also does a good job in regard to the input devices and connectivity. You can, however, argue about the pros and cons of a QFHD panel. 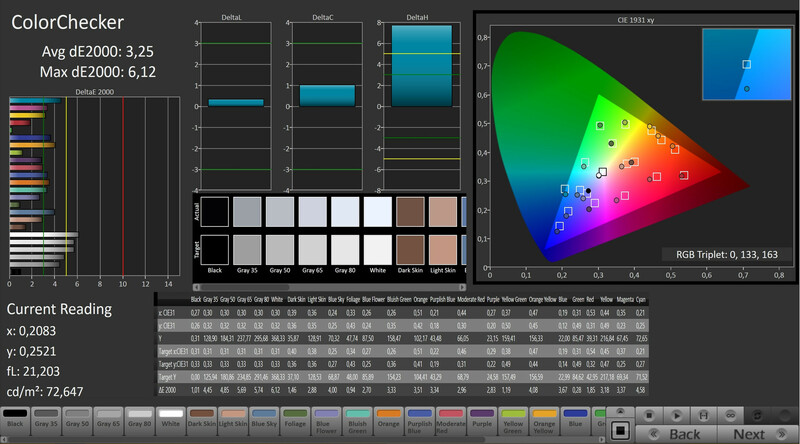 Yes, the picture quality of the Sharp LQ156D1JX01B is brilliant (rich colors, wide viewing angles, high contrast, etc. ), but 1920x1080 pixels is currently still the better choice. Neither the performance of the GPU nor the operating system can handle 4K. The situation is much better if you want to play in Full HD. 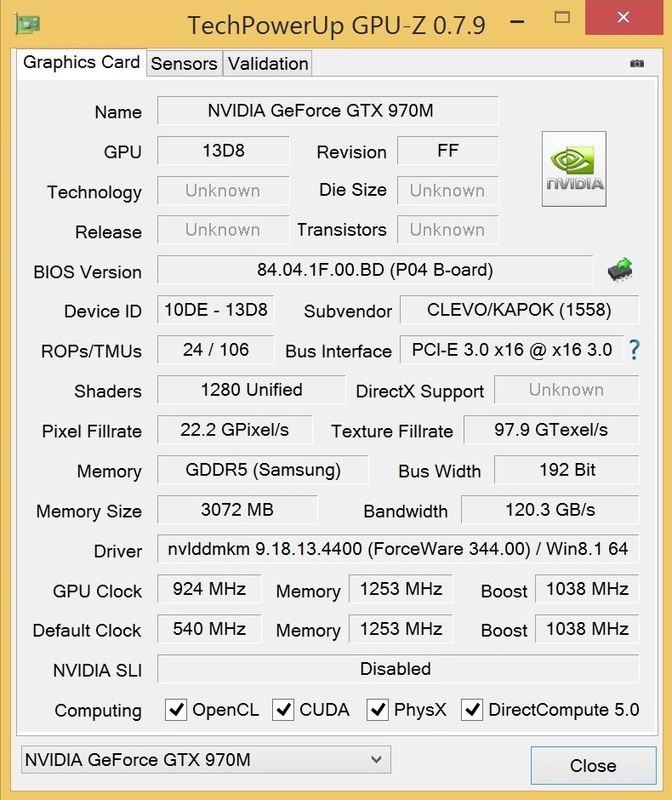 Nvidia did an excellent job with the GeForce 900. We did not really expect that the GTX 970M can beat the GTX 880M. 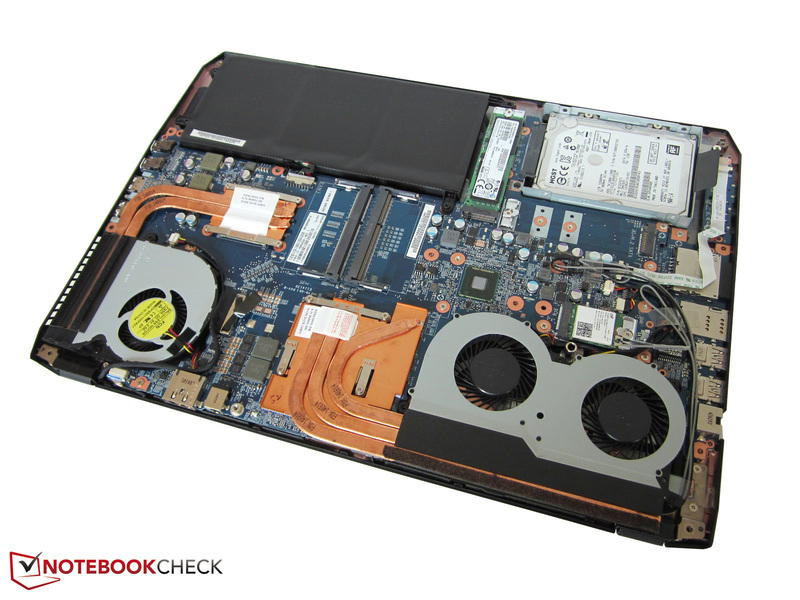 However, you need a powerful cooling solution to keep the technology alive in return. Besides the system noise, the temperatures are very high – at least during gaming. The basically good maintainability is slightly affected by the screwed battery and the soldered CPU and GPU, respectively. This means you need a new motherboard if a part should be defective, which is not really environmental-friendly. It is also annoying that the notebook does not come with a sufficient power adaptor: 150 Watts is not perfect for the review configuration. 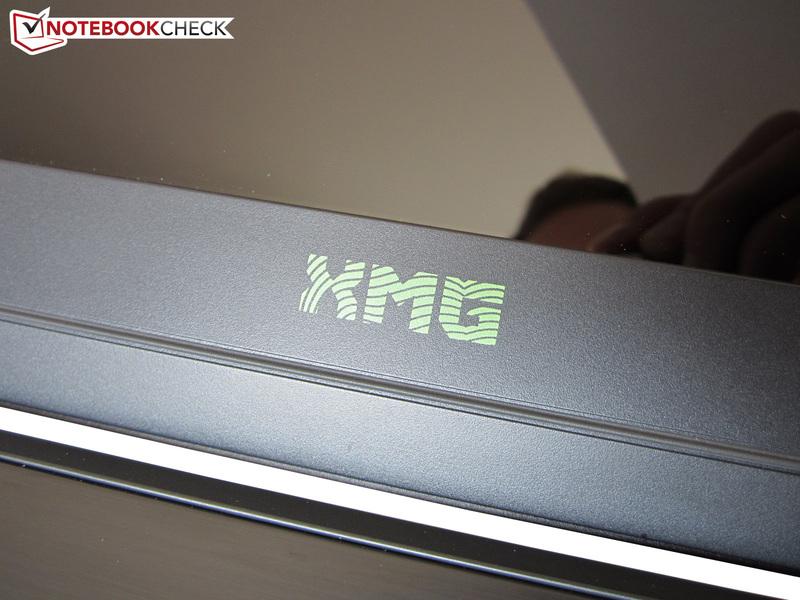 Still, the XMG P505 is a very good device; hardly any thin gaming notebook managed 85% so far. In review: Schenker XMG P505. Review sample courtesy of Schenker Technologies. , M.2 PCI-Express x4 + HGST Travelstar 7K1000 (HTS721010A9E630), 1000 GB HDD, 7200 rpm. Bays: 2x M.2 2280 & 2x 2.5"
The chassis is not even three centimeters high. The maximum opening angle is average. The metal surfaces attract fingerprints. The P505 looks modern yet simple at the same time. More than ten screws secure the bottom cover. 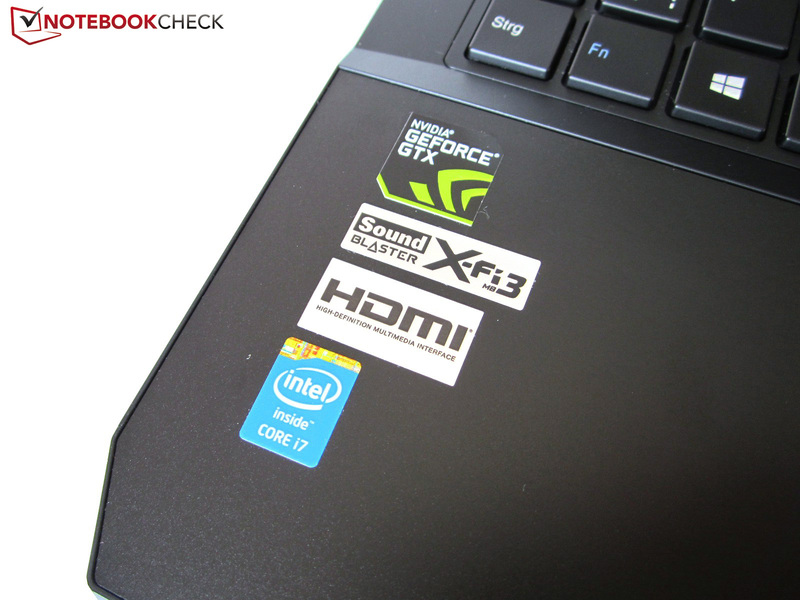 The gaming notebook only weighs 2.6 kilograms (1x HDD). The keyboard sits in a slight depression. 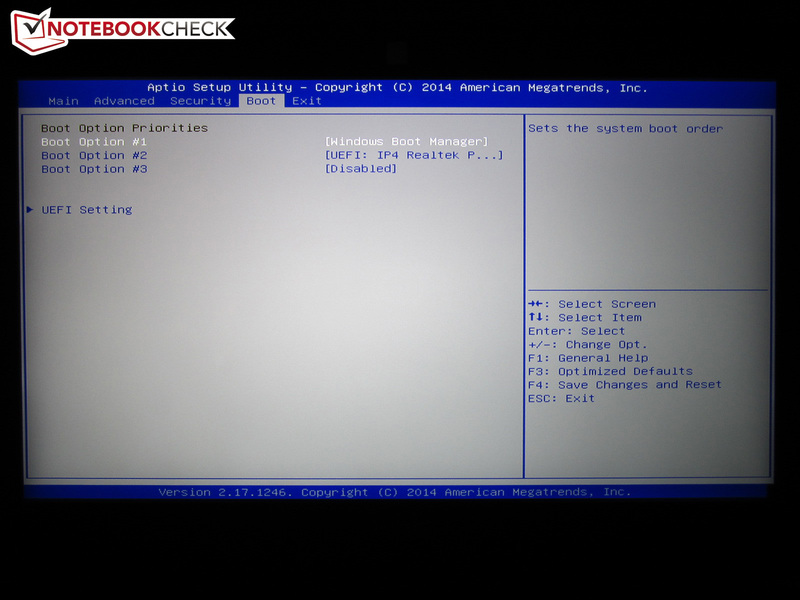 The internal layout is similar to ultrabooks. This also includes a screwed battery. Close to the 2.5-inch bay are two M.2 slots. The secondary memory slots are at the bottom. 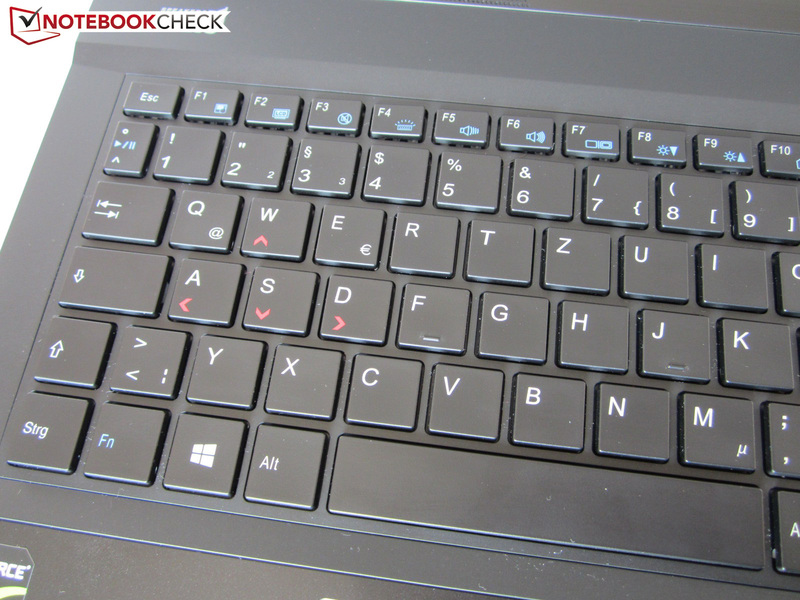 The primary memory slots are covered by the keyboard. The wireless adaptor has an M.2 connector. 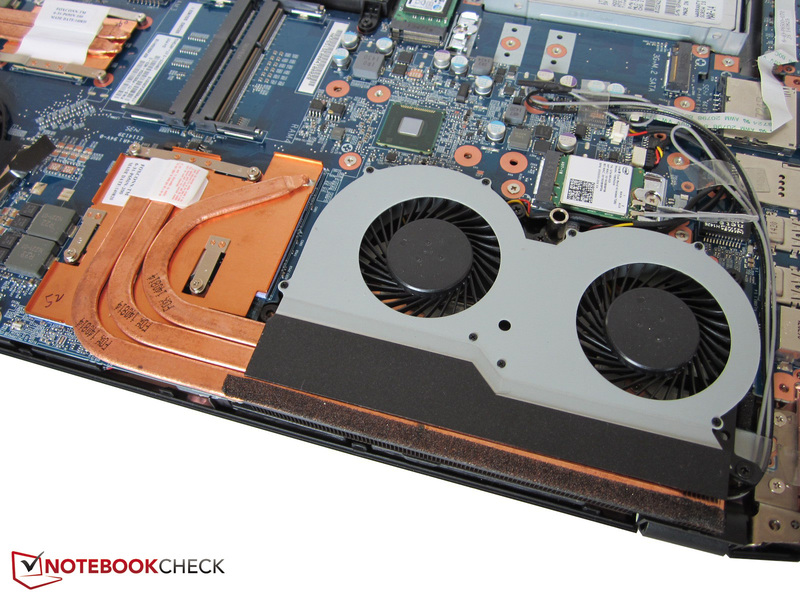 A dual-fan solution takes care of the GeForce. The processor has its own cooling solution. It is not hard to remove the keyboard. The webcam has a Full HD sensor. The fixing of the display frame could be better. Onkyo provided the sound system. 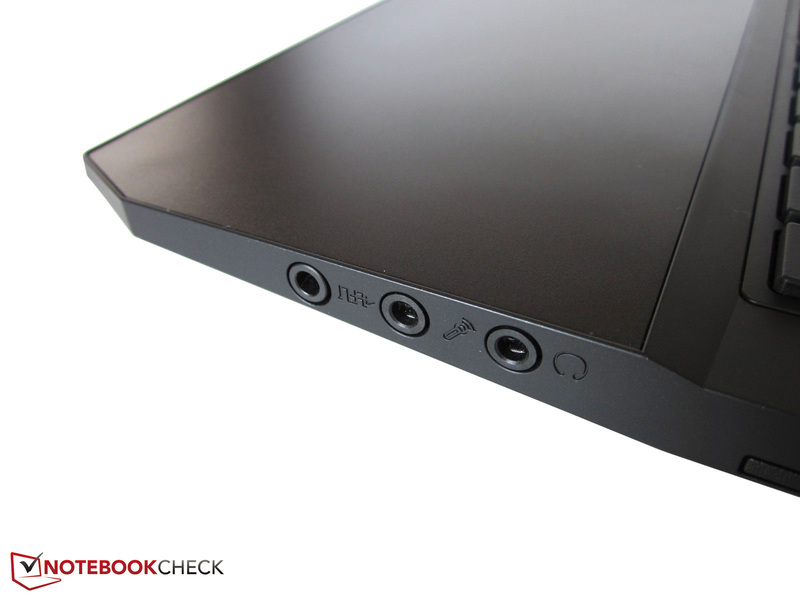 Sound Blaster X-Fi MB3 improves the sound even further. The chassis is provided by Clevo. Red markings for the WASD keys. Besides the layout, we also like the dedicated numeric keypad. The smooth touchpad is surprisingly big. 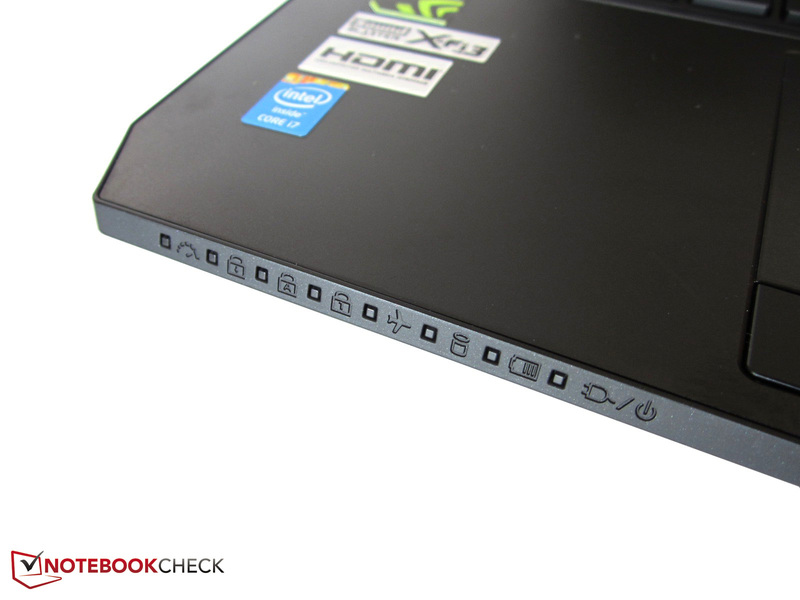 Not many notebooks have so many status indicators. 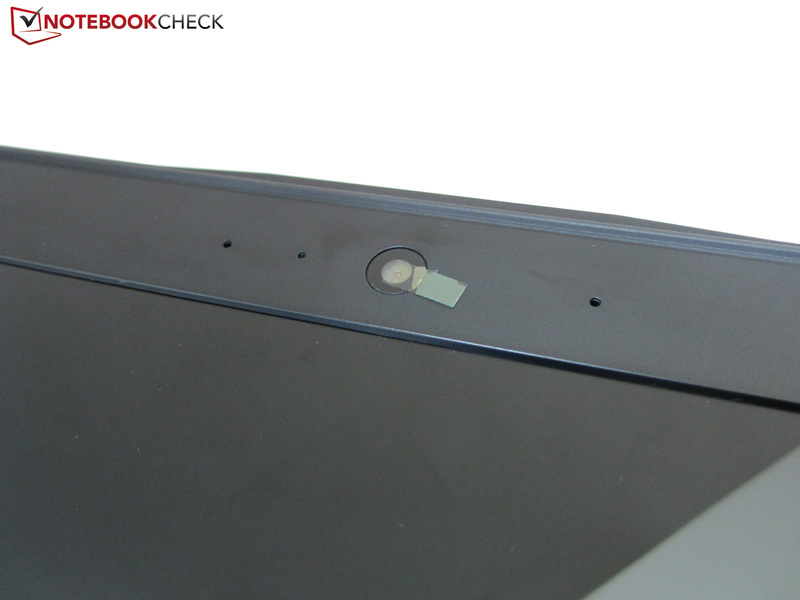 SIM-card slot at the right side. The heat from the GPU is dissipated at the back. All USB ports support the 3.0 standard. The CPU cooler directs the heat toward the left side. Three digital video outputs deserve respect. Our review configuration only gets a 150-Watt power adaptor. The GTX 970M based on the Maxwell architecture is even faster than expected. A more powerful PSU, a bigger battery and lower emissions. The QFHD panel is a blessing and a curse at the same time. Thanks to the excellent measurements, the picture looks great. But the fluctuating scaling can be annoying and the glossy surface is not perfect, either. 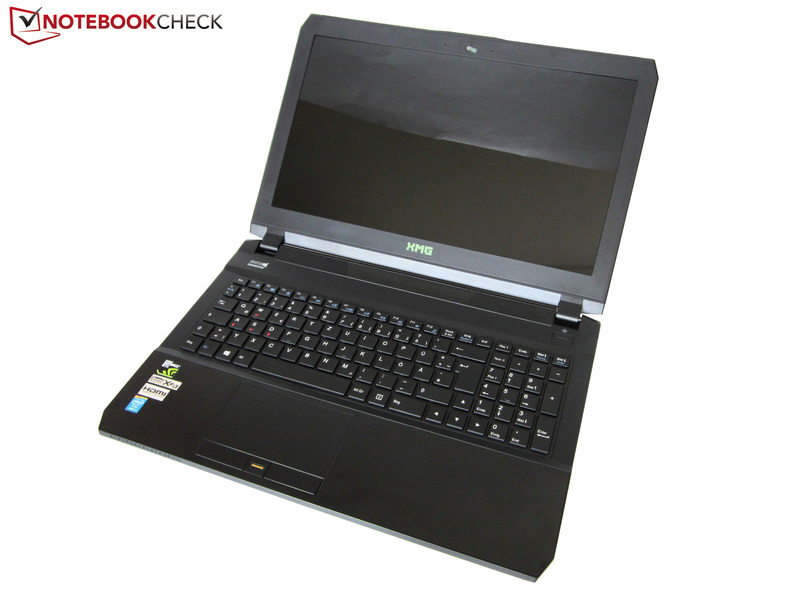 15-inch gaming notebooks like the Acer Aspire VN7-591G, Gigabyte P35W v2, Gigabyte P25X v2, MSI GE60, MSI GT60, MSI GS60, Lenovo Y50-70 or Schenker XMG A504.